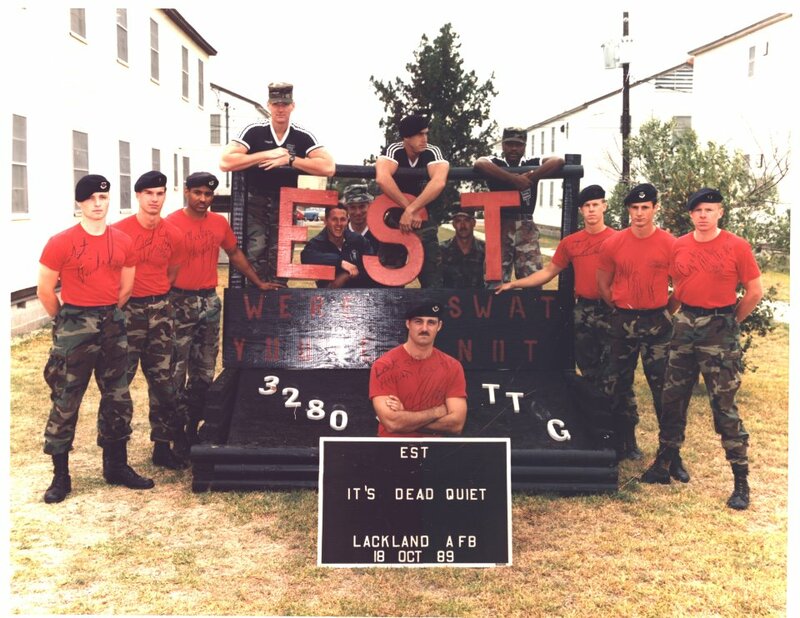 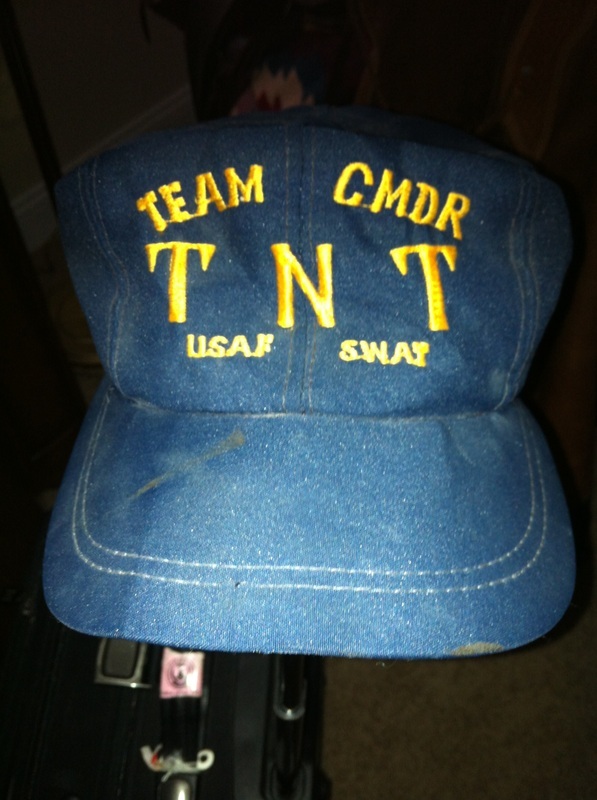 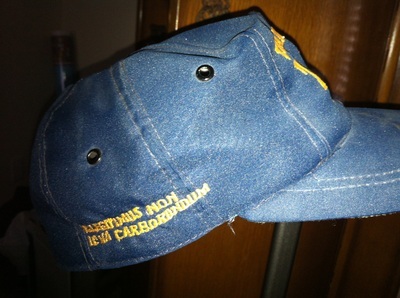 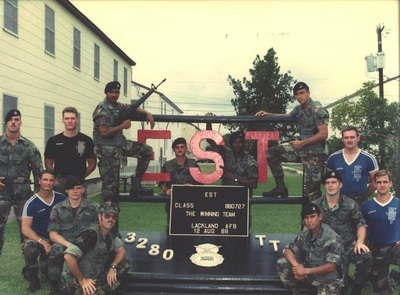 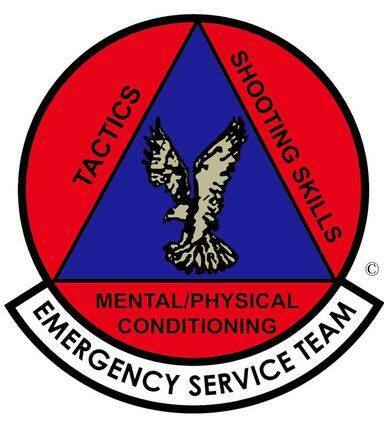 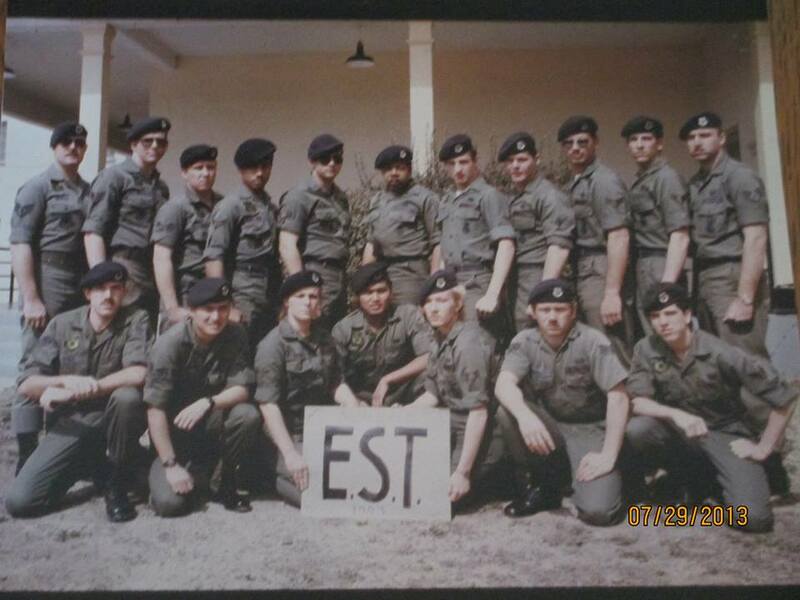 The history behind this emblem starts at Charleston AFB, SC during the year of 1980... after graduating from the EST schoolhouse, I went back to Charleston and re-organized the existing team (TNT) into an EST team based on the latest school house concepts. 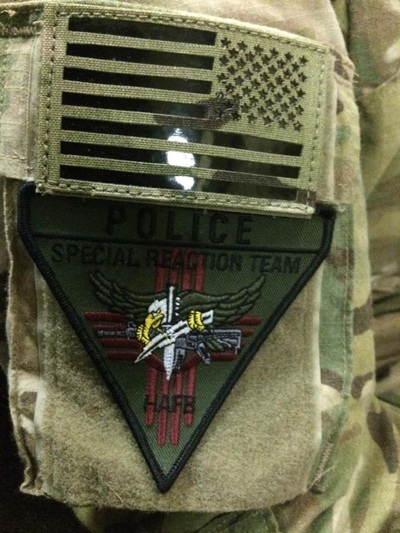 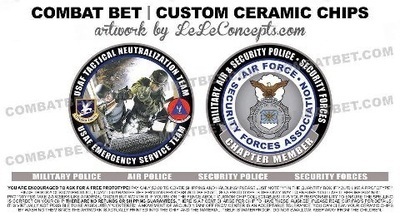 In the process, while I was working as the SP Supply NCO, I toyed with the idea of a patch for the EST team. 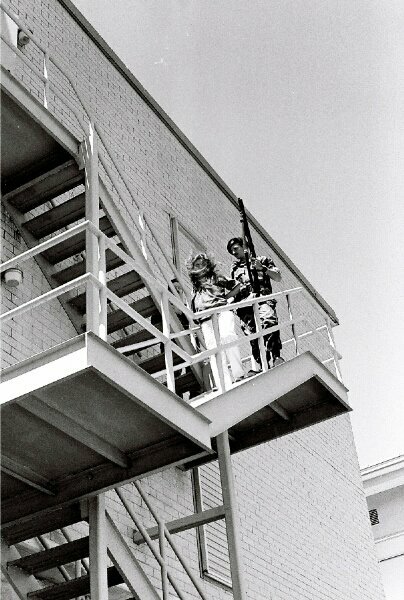 The original artwork was done by a Charleston A/V tech who took my idea and put it on paper in black and white. 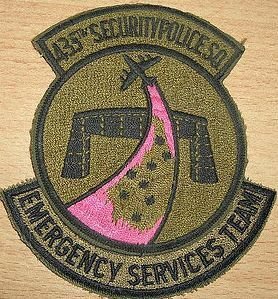 I submitted the patch for approval, but it never got approved at Charleston. Instead, MAC, at the time came down with an EST tab to be placed underneath the Squadron's patch, and basically you see that tab underneath this patch... We did order the MAC tabs for the members... the EST tabs were issued officially to the team at Charleston AFB. . 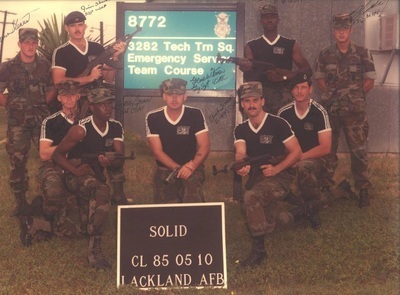 They were OD green pattern and I believe there is a picture of it in our photo section. 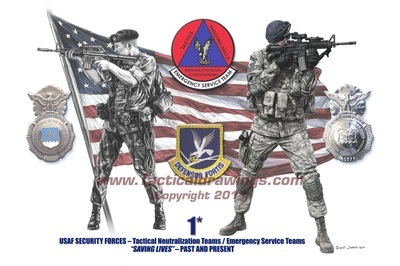 I took this design with me to Howard AFB, and we actually had the patch made in OD design and issued them to the team members, and it was approved to wear under the Base Supplement to 35-10 along with the flash made in this design and color for our berets. 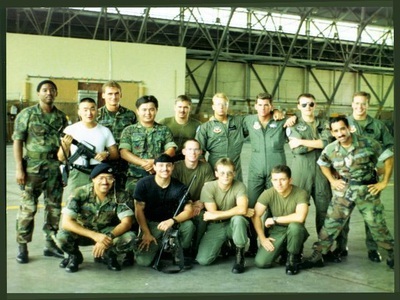 The squadron funded the patch, MSgt (Ret) Michael Tsung funded the metal flashes for our berets (If I remember correctly). Both are rare to find anywhere, unless you were a member of the original team. 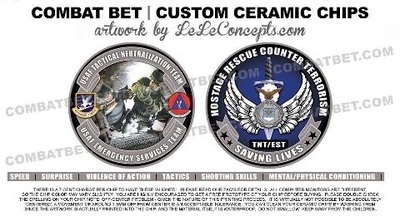 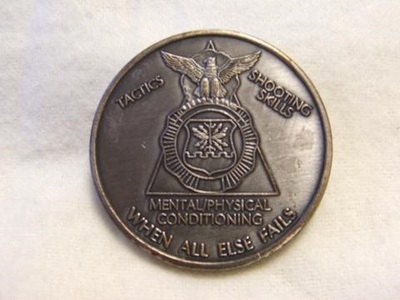 MSgt (Ret) Michael Tsung also had several hundred EST coins made that were numbered and issued to team members. 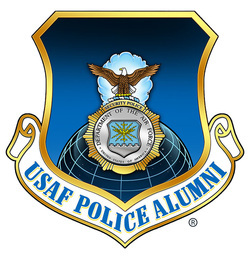 The meaning behind the emblem; the red white and blue design were picked to display our patriotism and service to our Security Police Career field, the triangle design was taken from the concept of operations lecture on the three tenets of training by CCMSgt Lee Sexton, to show the triangle of preparation needed by every team member as high standards of training and readiness; the Air Force Eagle in the center was in tribute to the first Operational mission of the AFSESF during “Operation Eagle” in 1979. 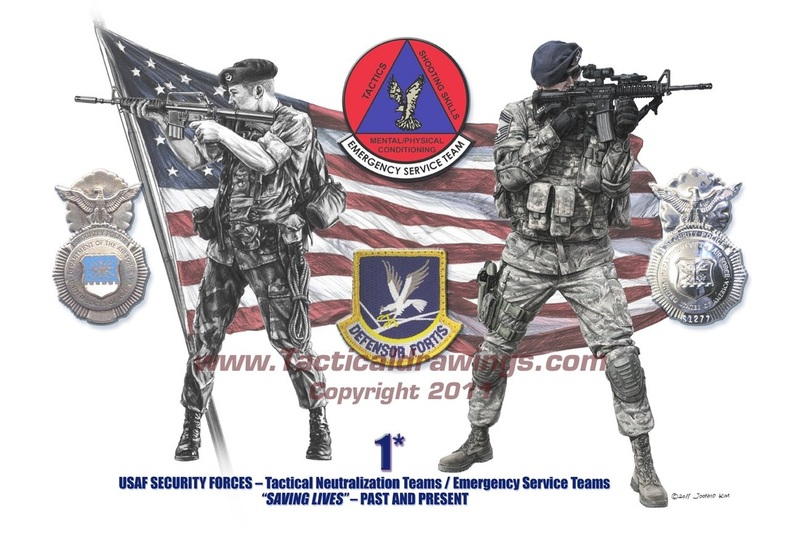 History and Emblem copyrighted and courtesy of Roberto Bonefont Sr and the Design is exclusively used by the AFSFA TNT/EST Chapter. 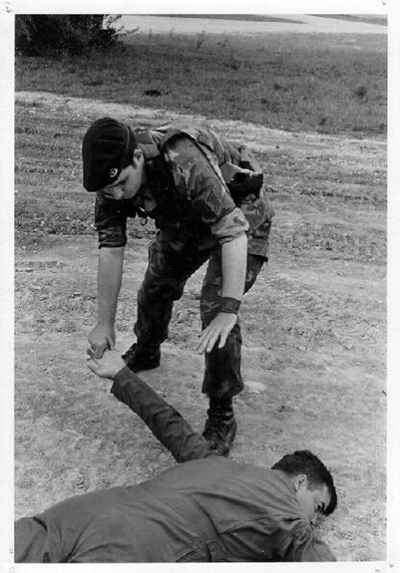 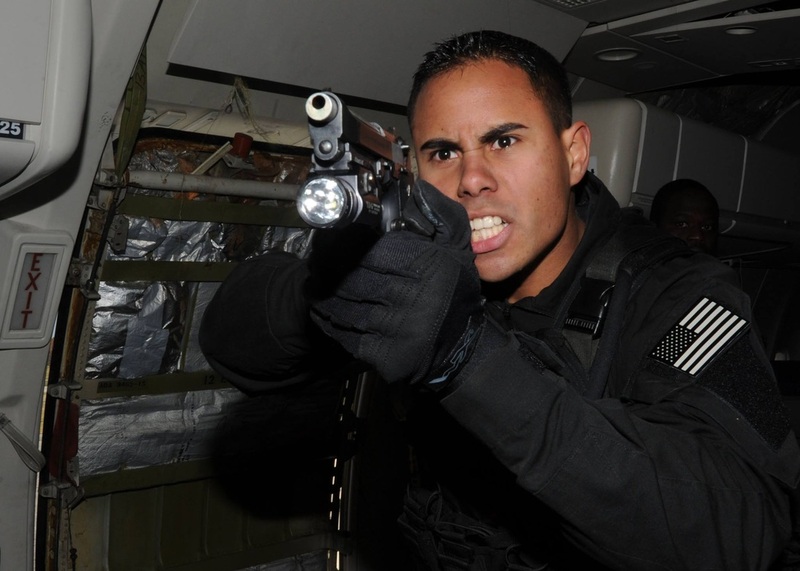 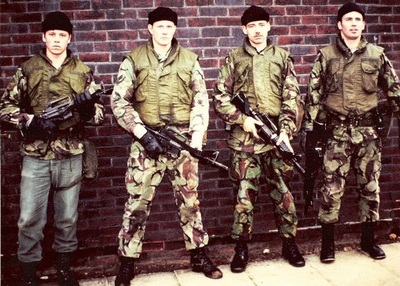 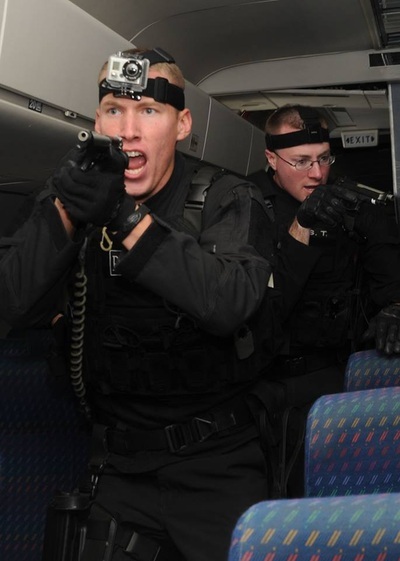 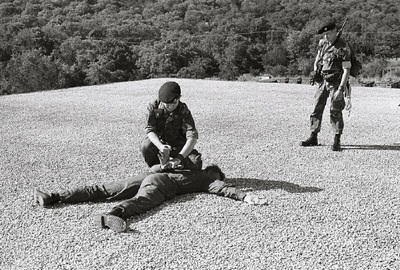 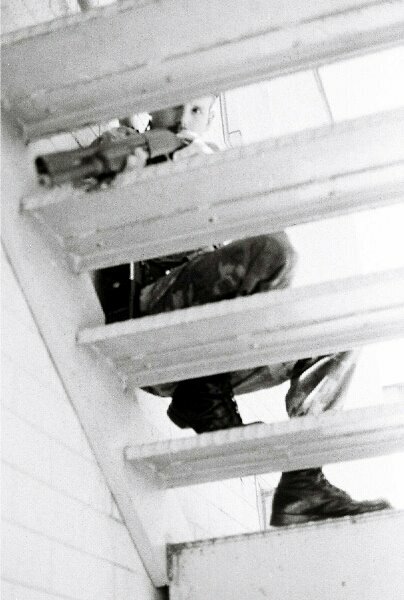 The Emergency Service Team is a group of highly motivated and well conditioned police personnel or other qualified individuals who are specially equipped and trained to function as a tactical police unit, which can be more effectively and safely employed in a special threat situation than conventional police patrol forces. 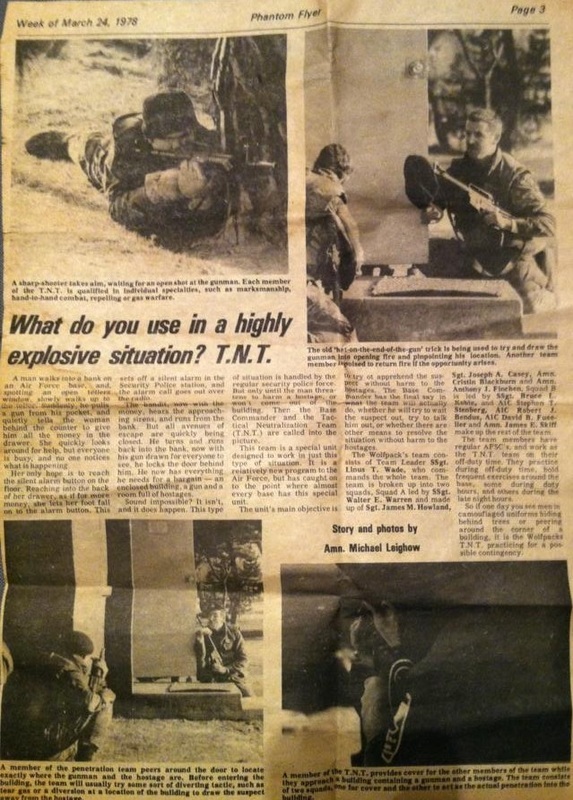 Before EST there was TNT. 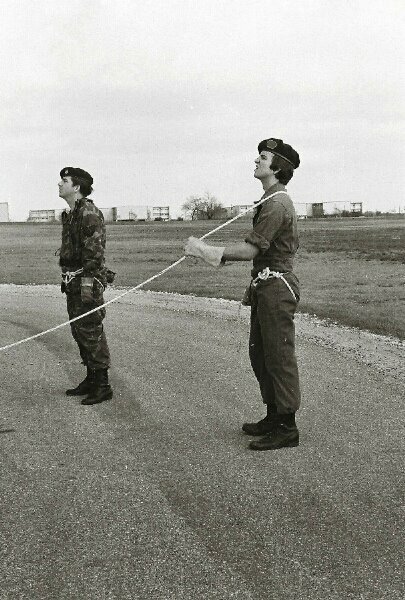 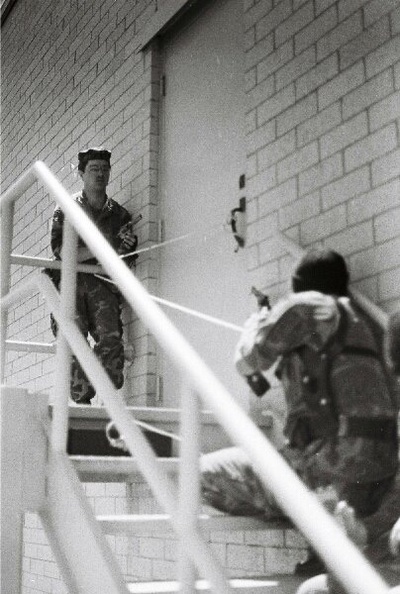 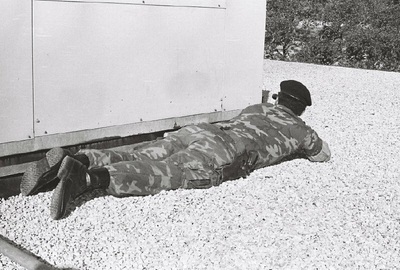 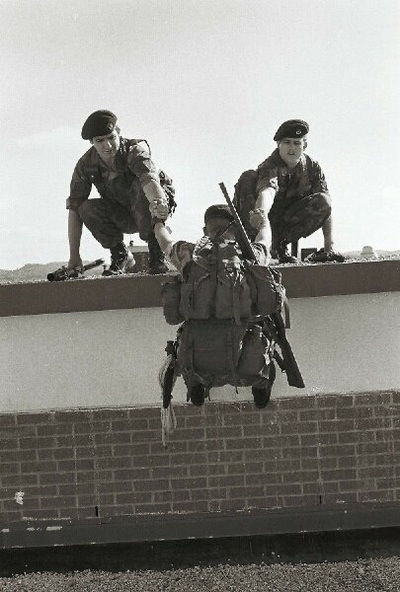 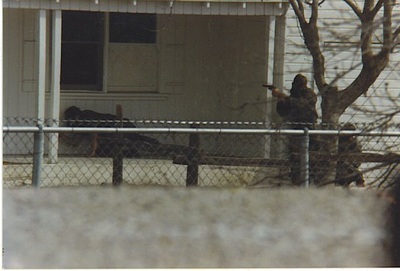 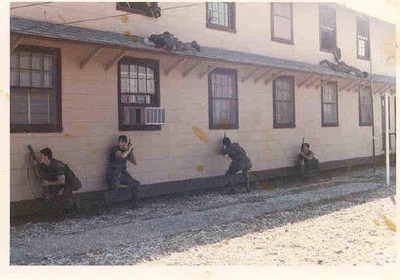 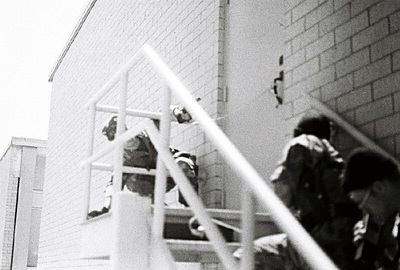 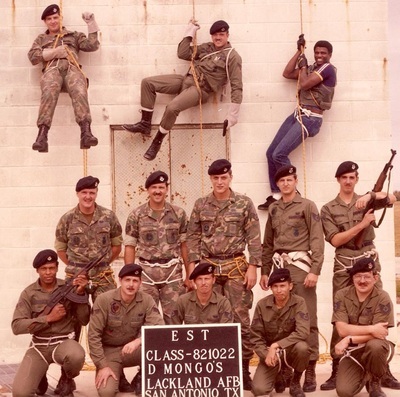 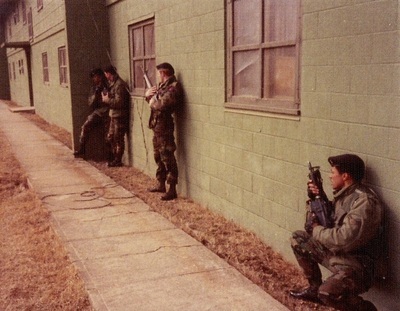 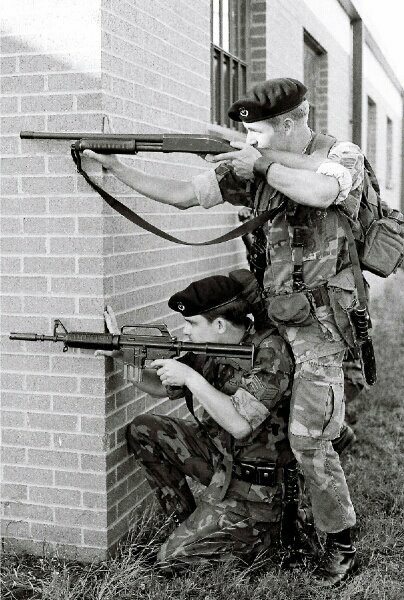 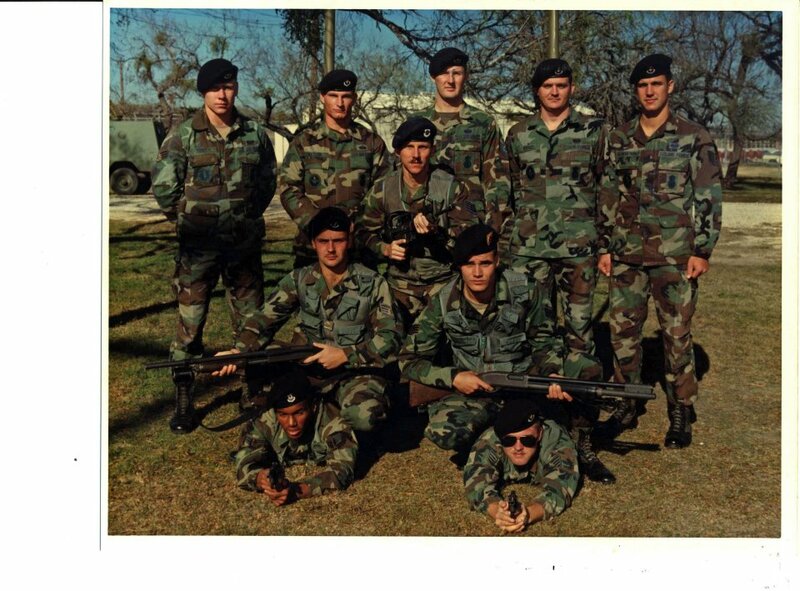 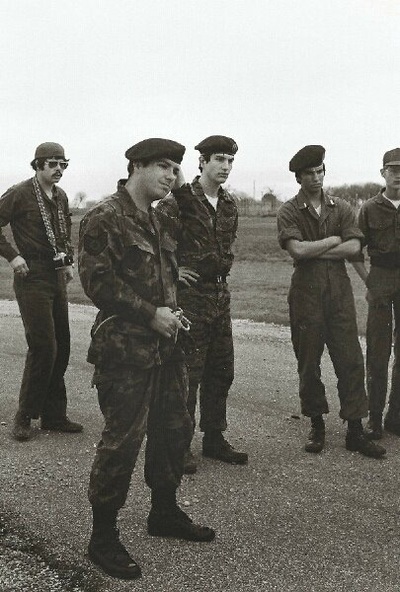 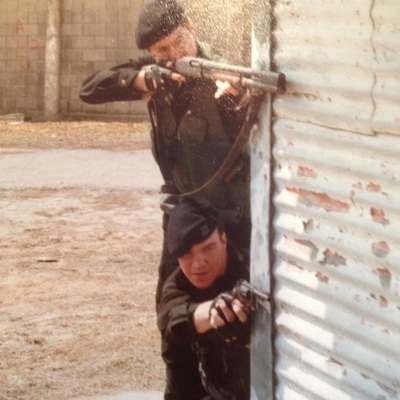 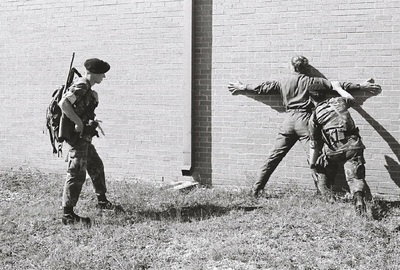 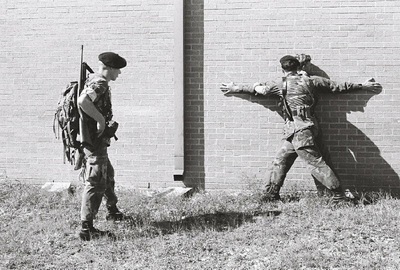 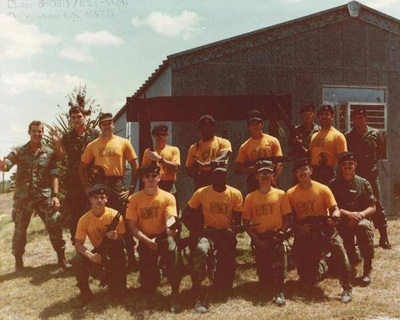 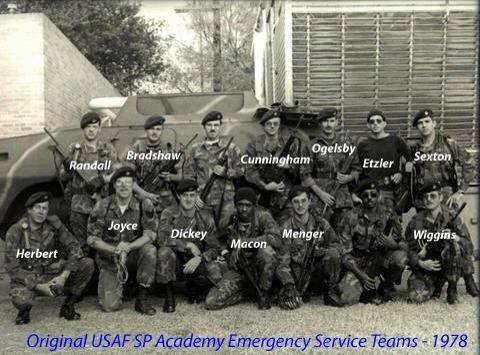 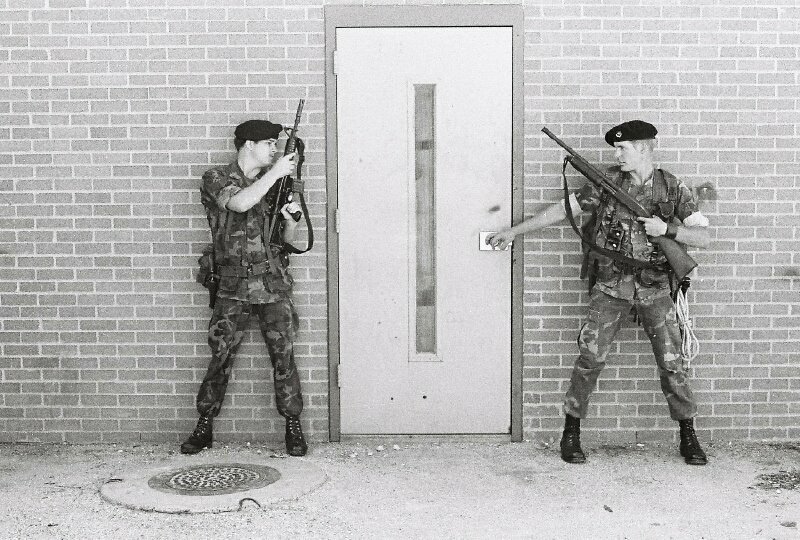 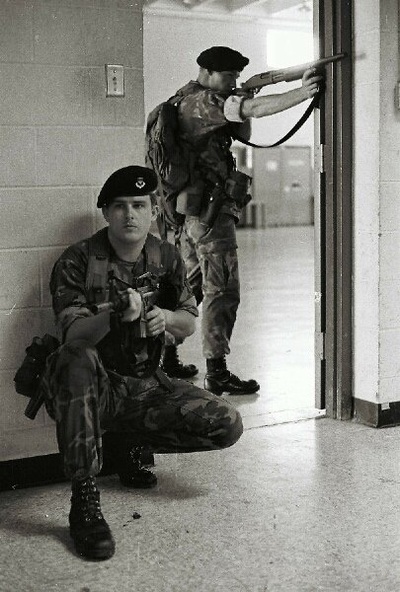 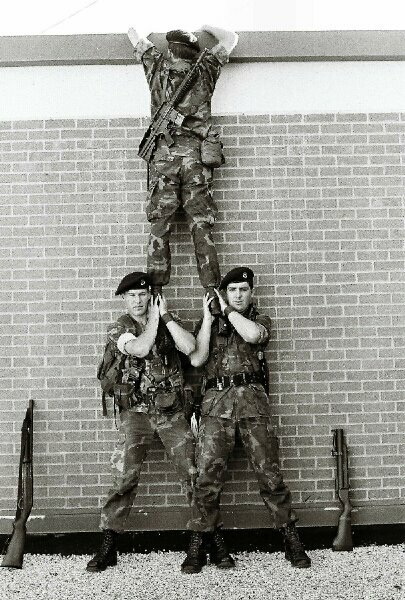 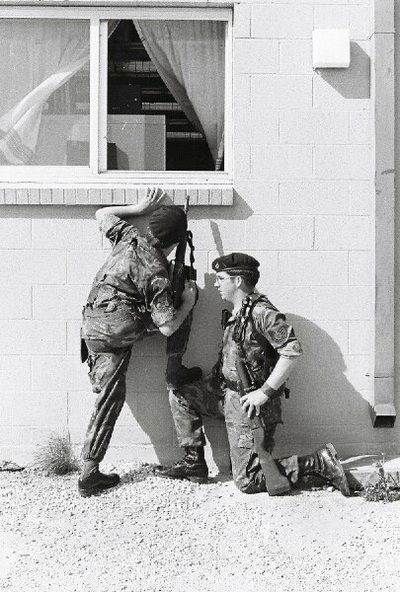 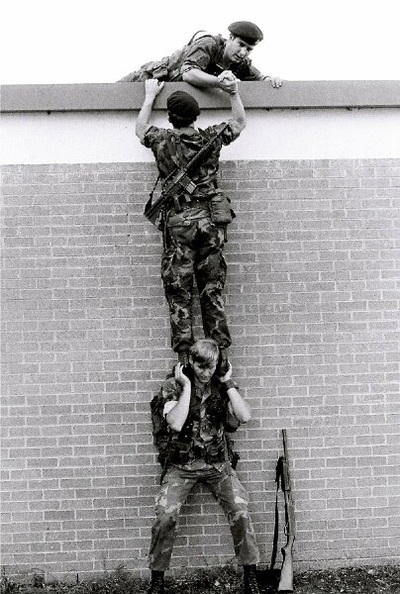 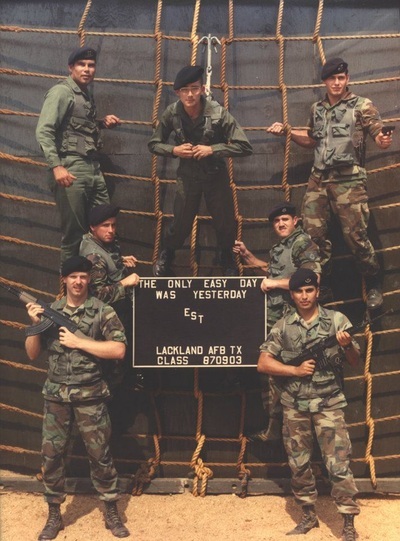 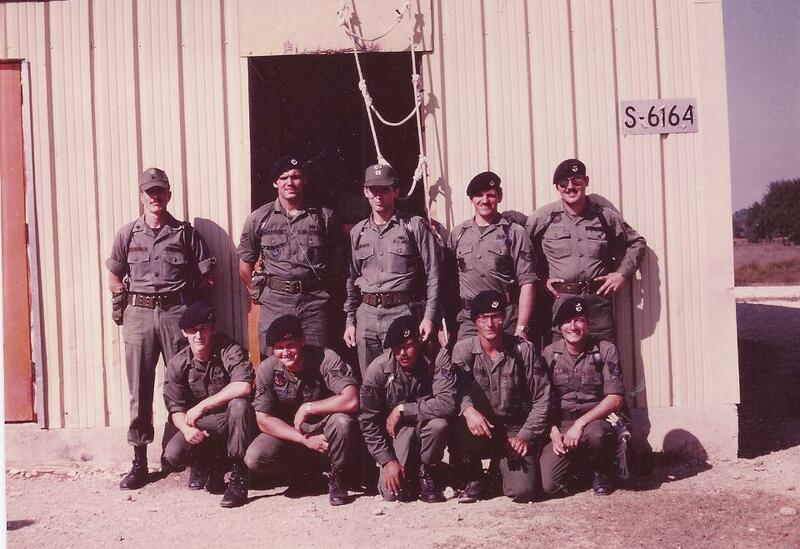 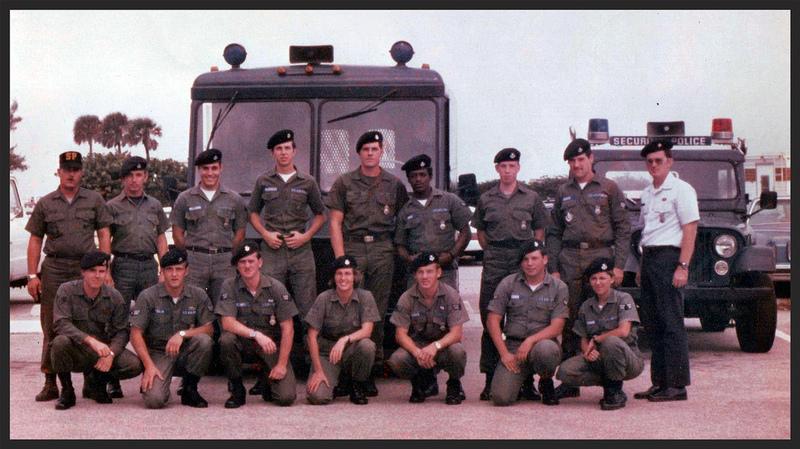 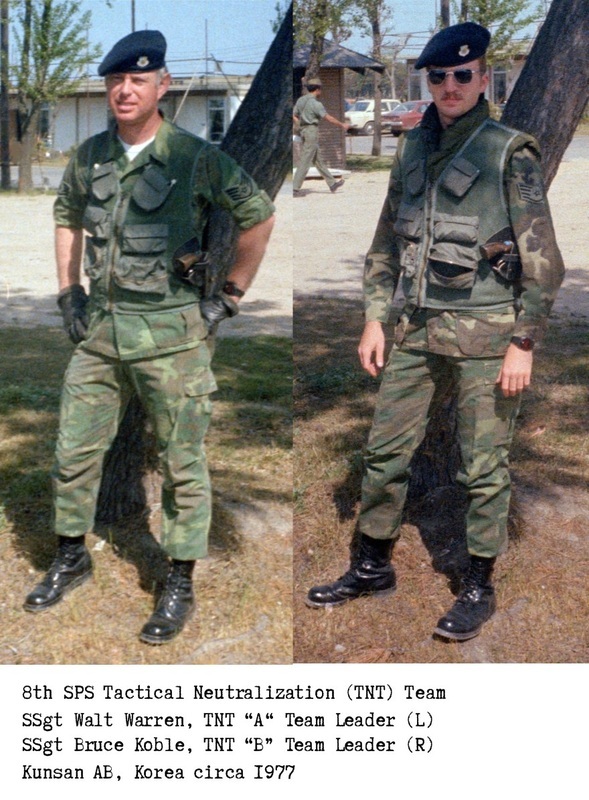 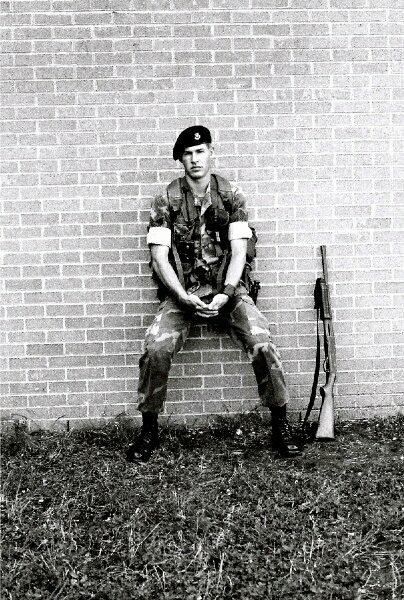 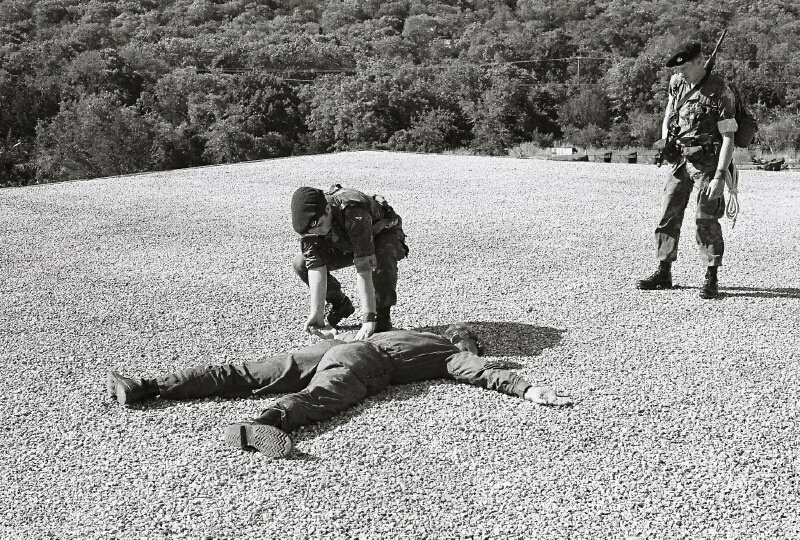 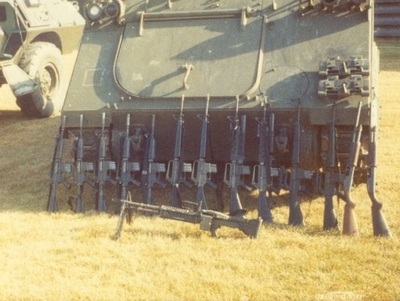 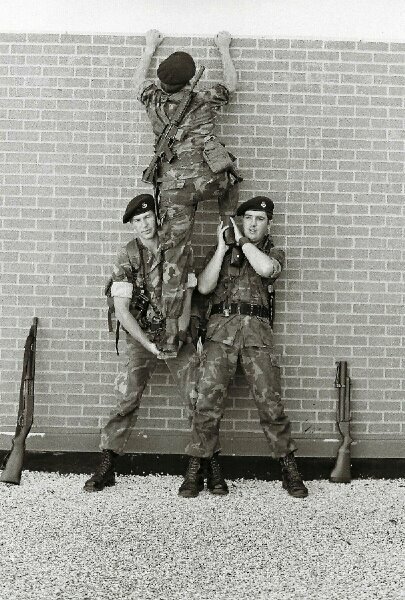 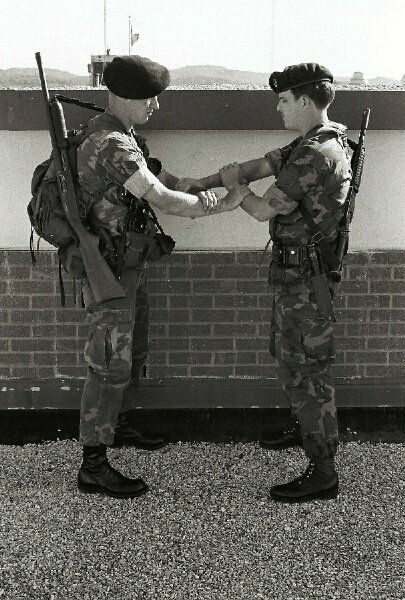 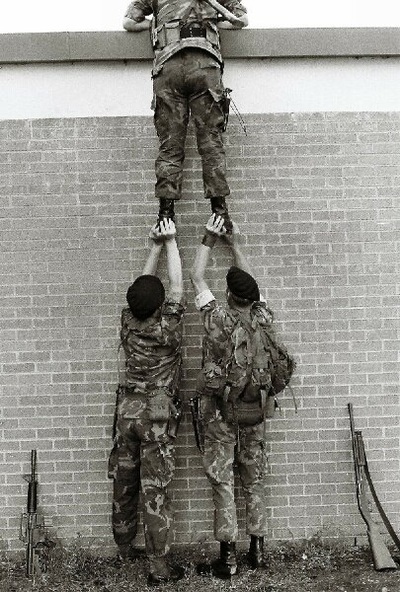 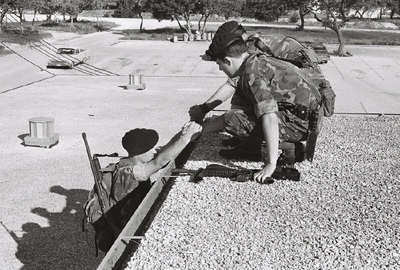 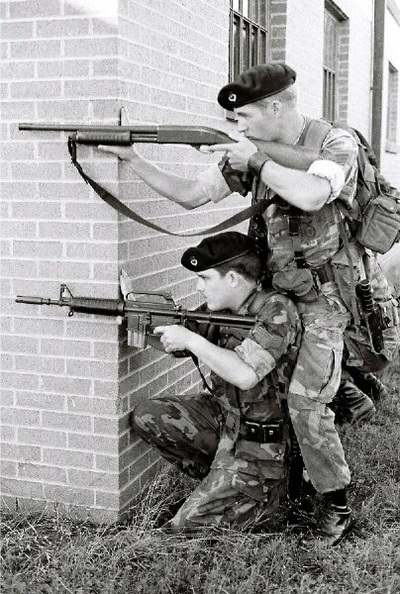 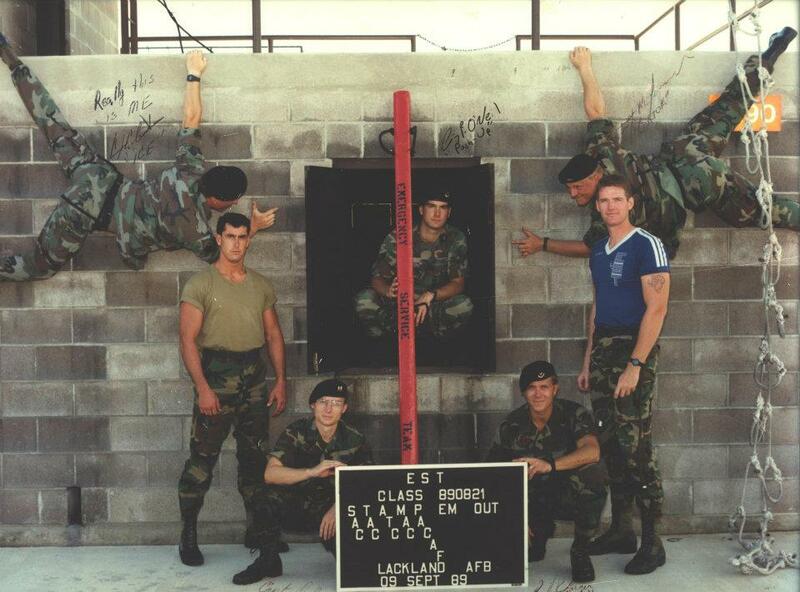 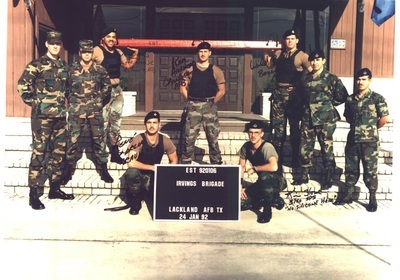 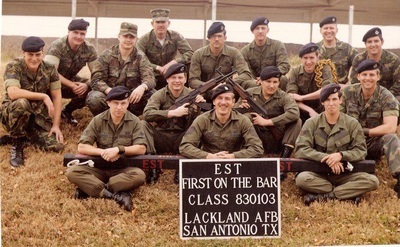 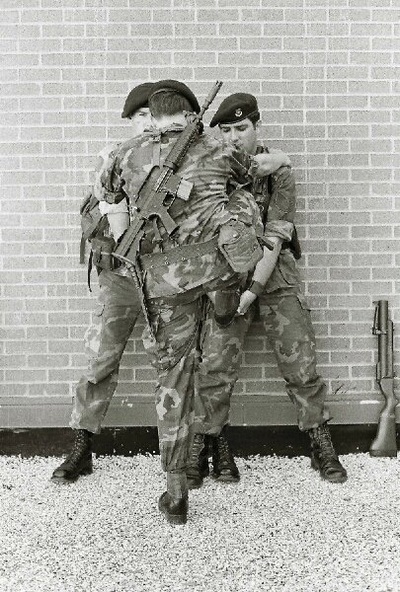 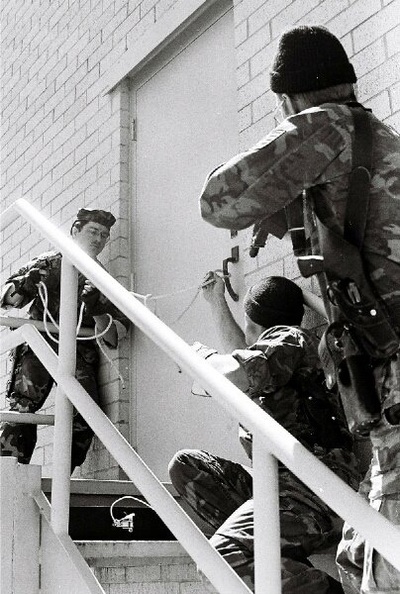 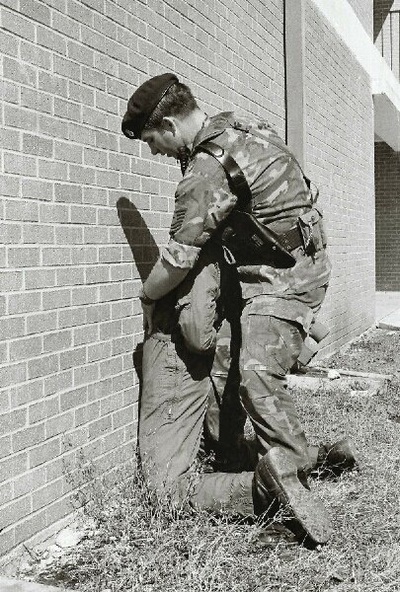 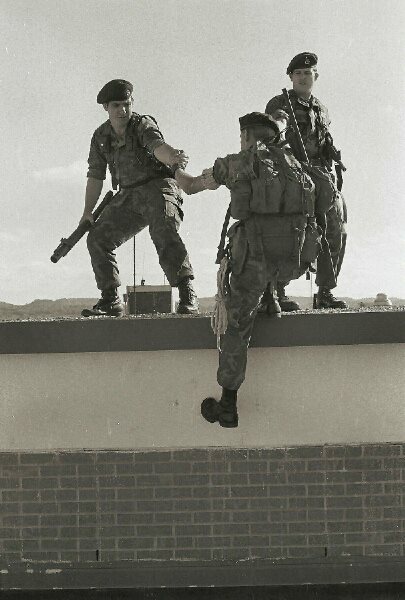 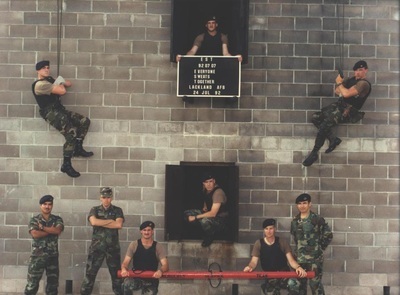 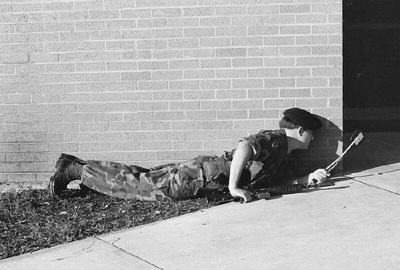 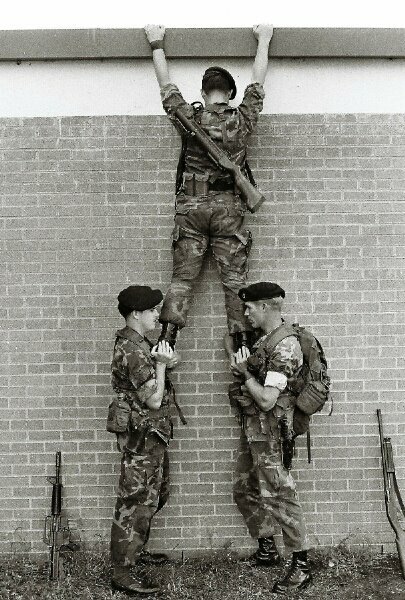 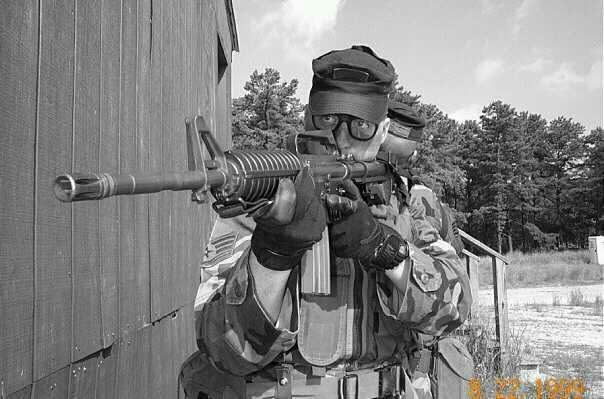 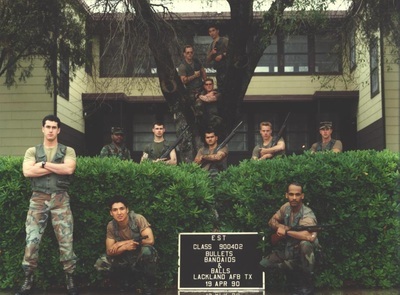 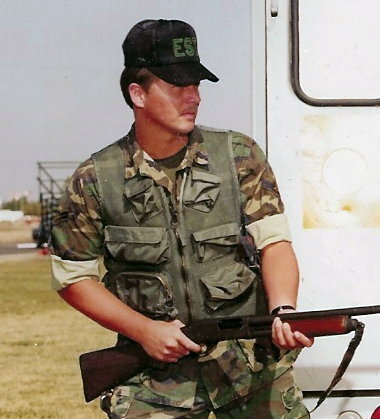 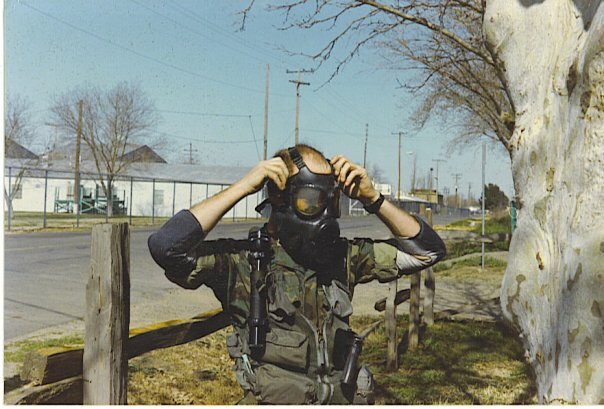 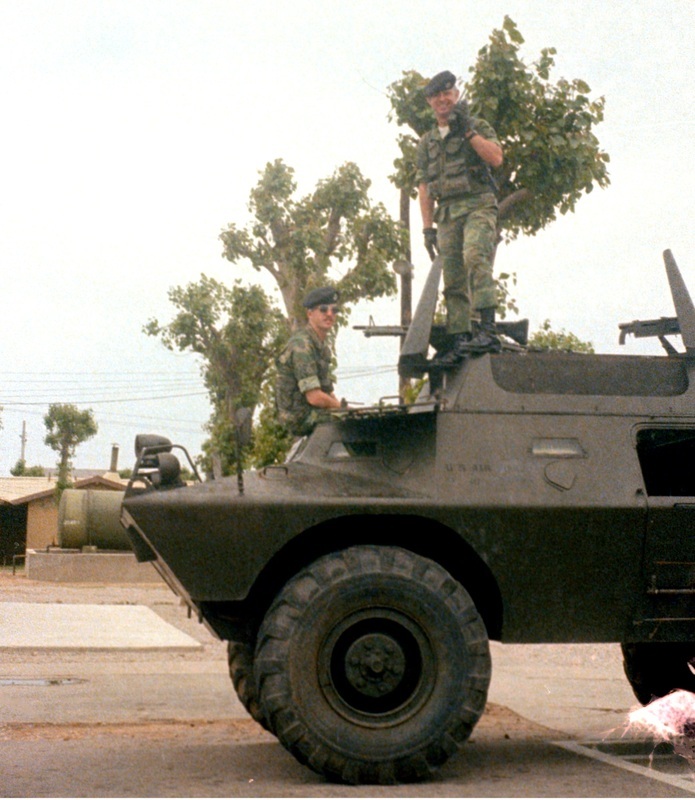 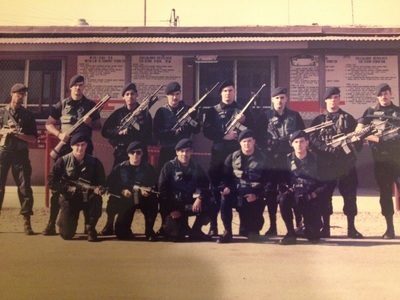 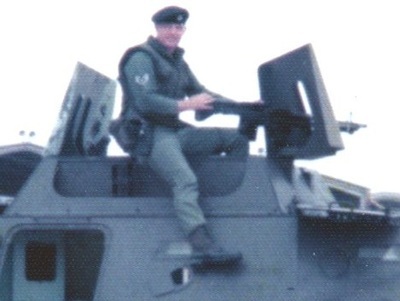 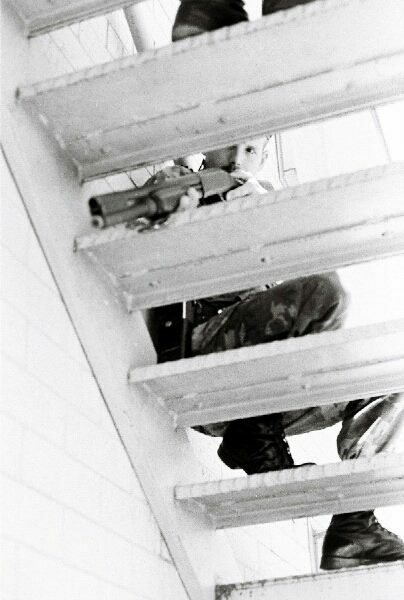 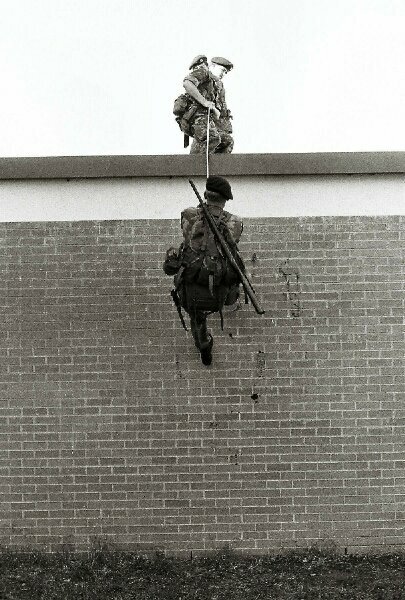 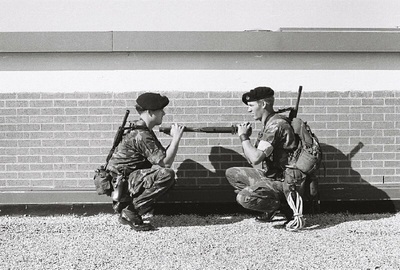 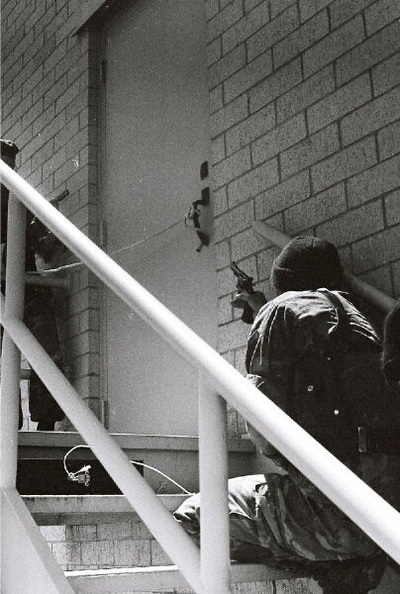 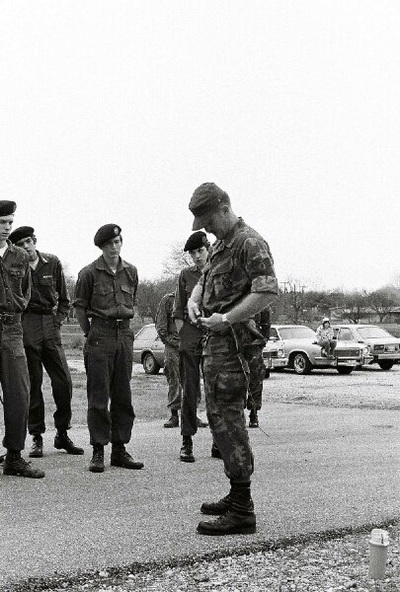 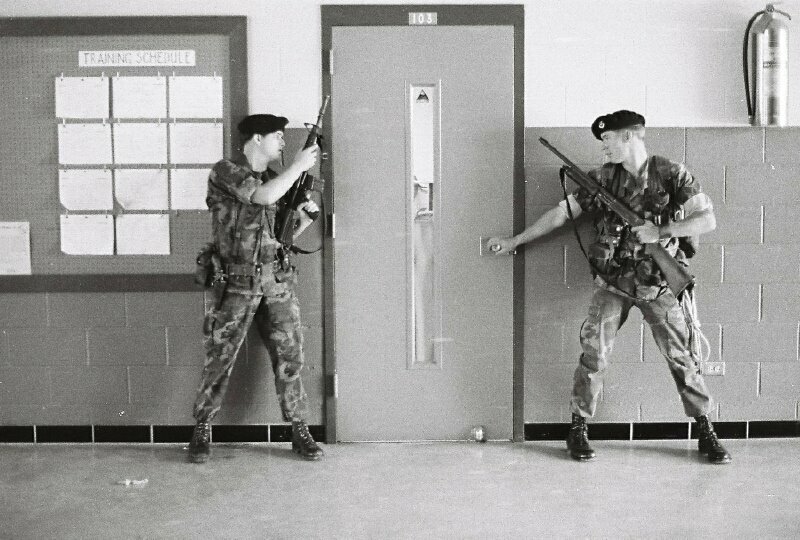 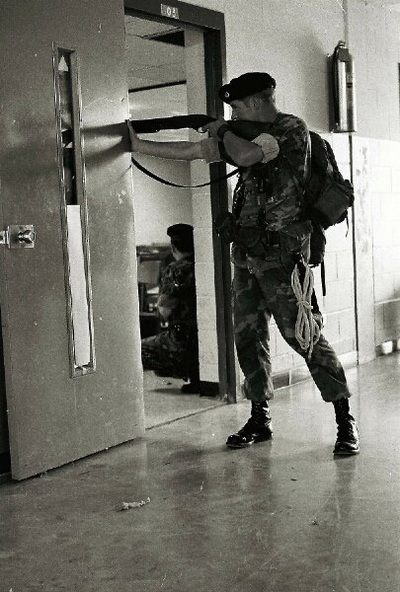 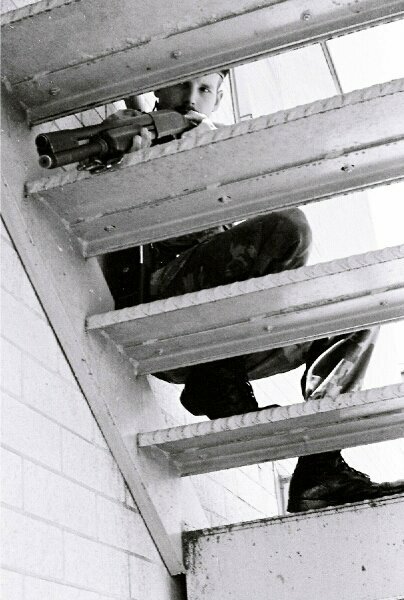 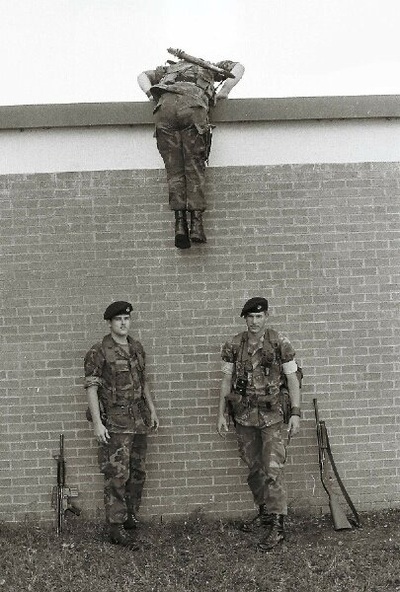 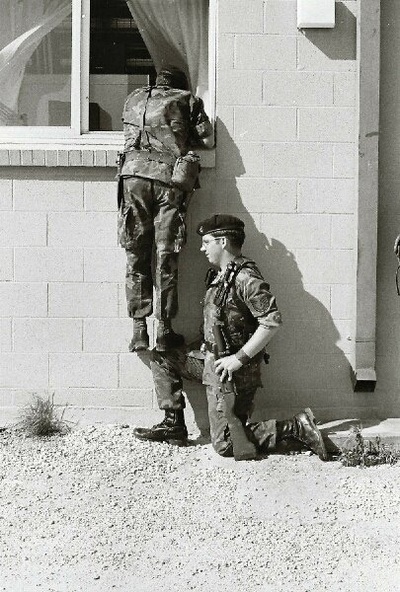 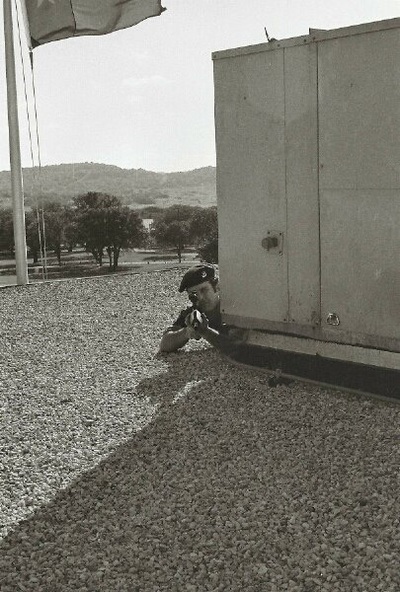 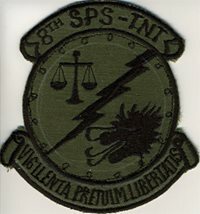 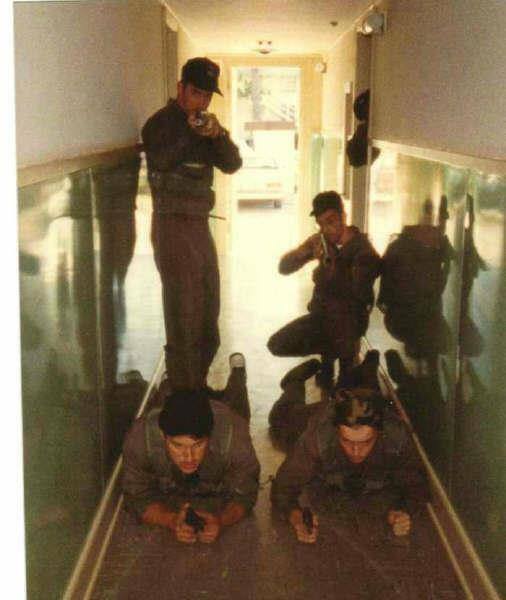 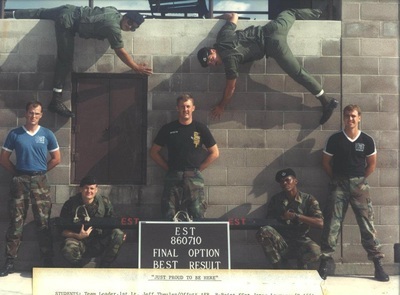 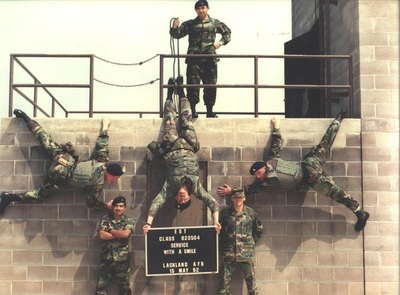 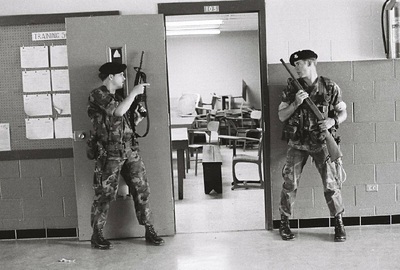 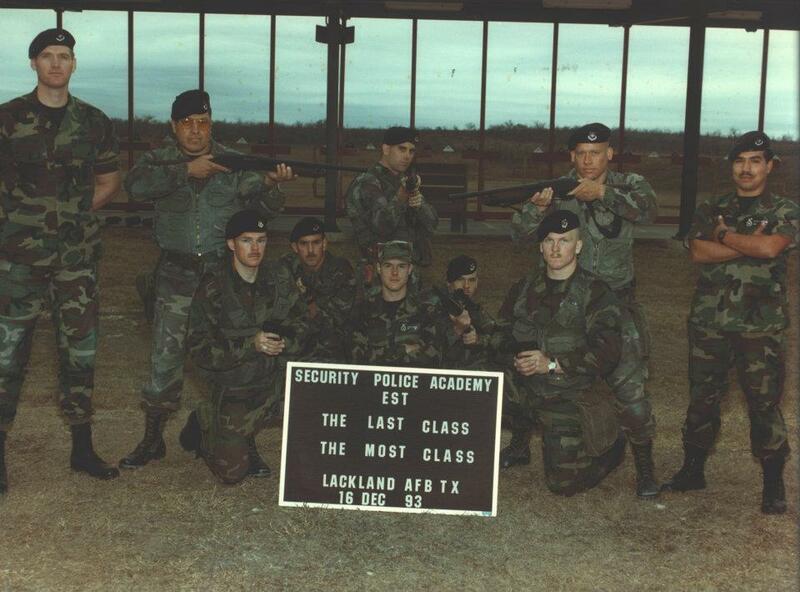 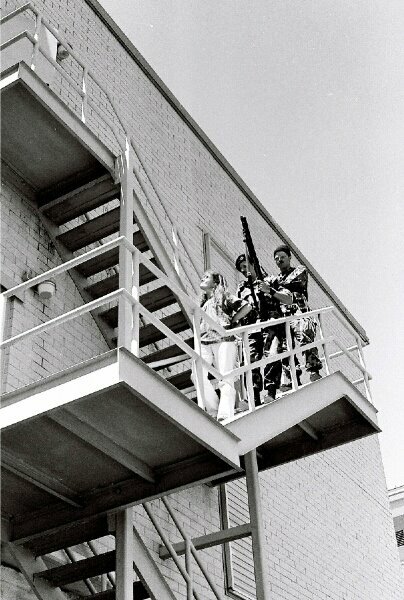 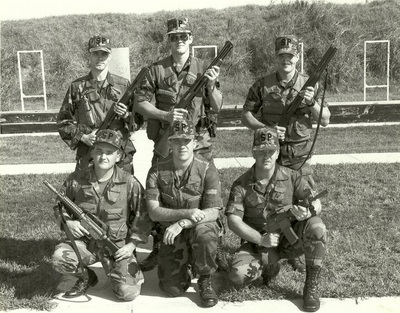 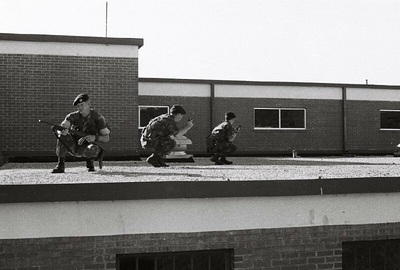 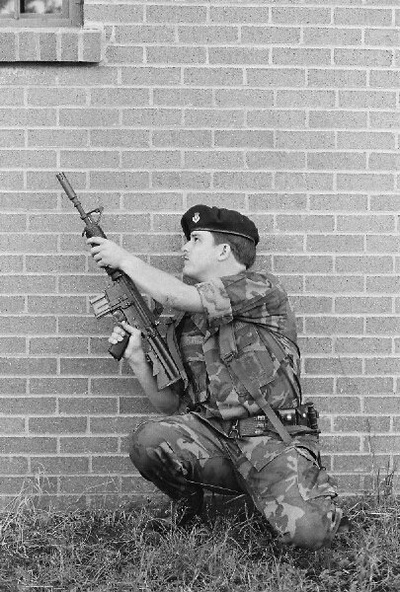 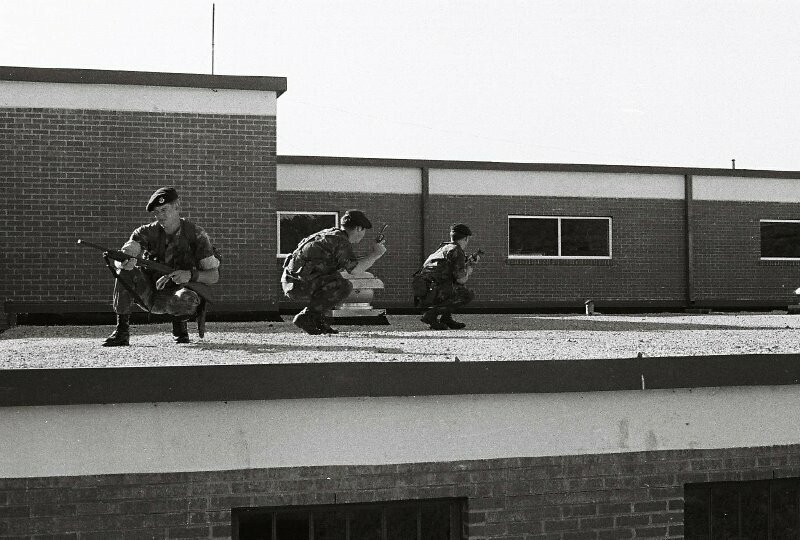 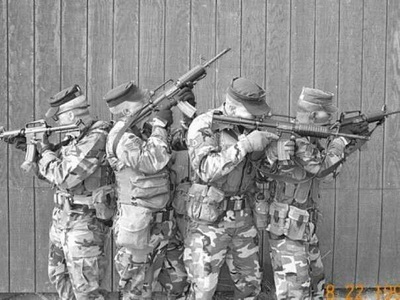 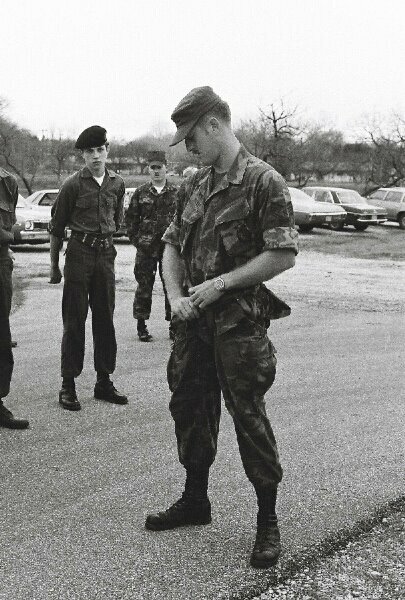 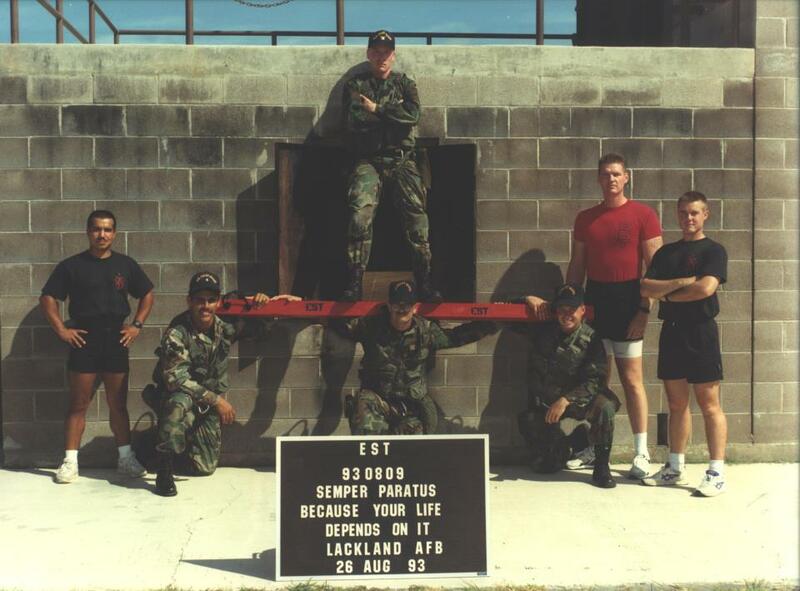 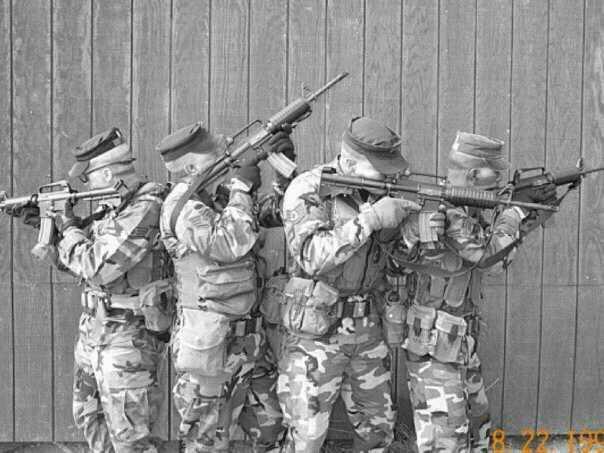 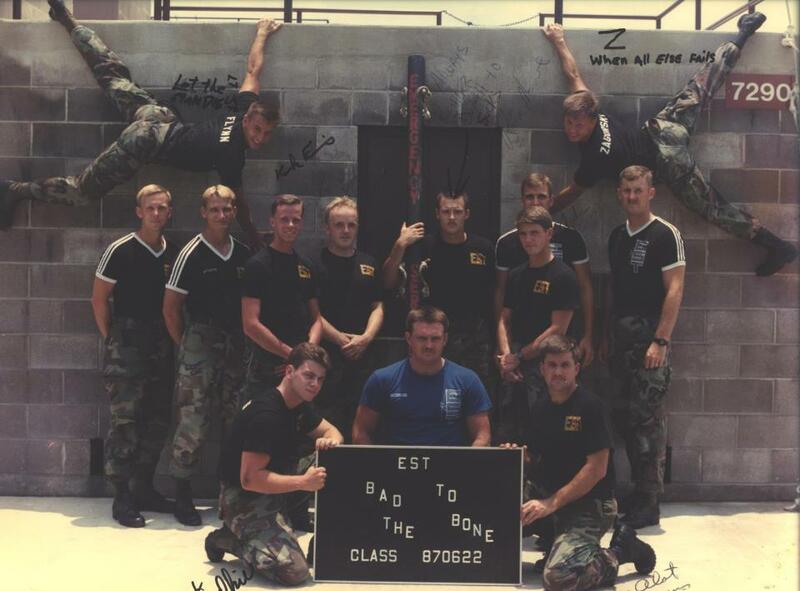 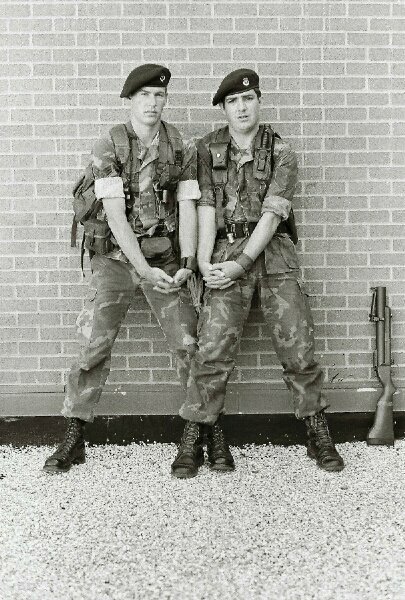 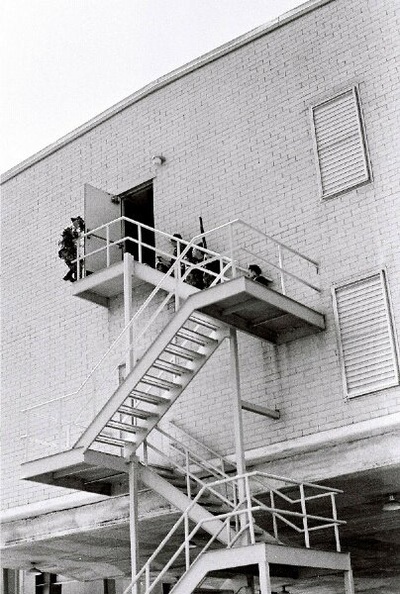 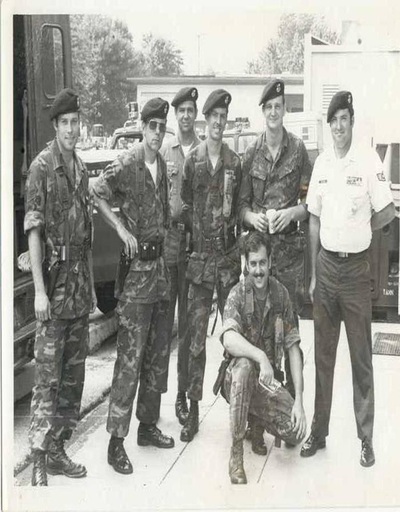 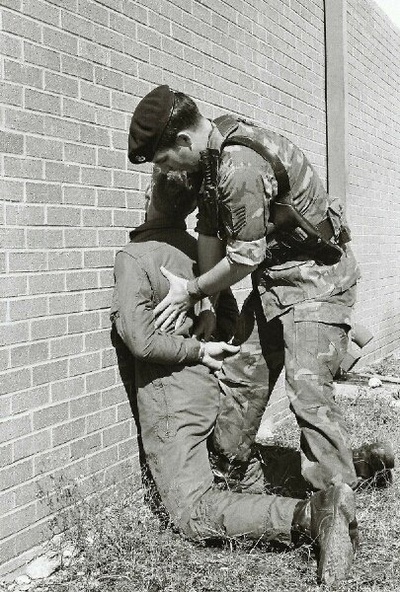 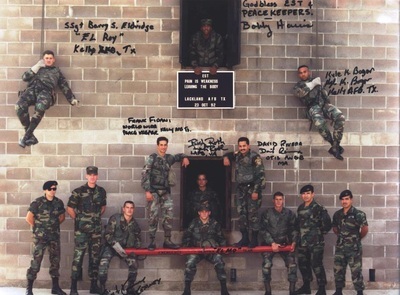 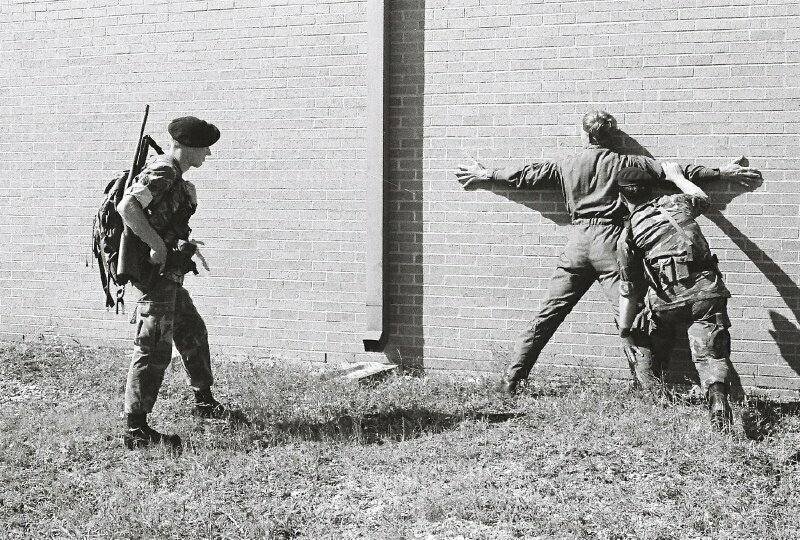 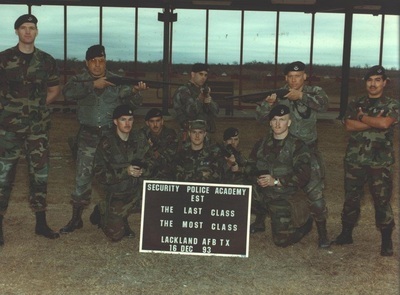 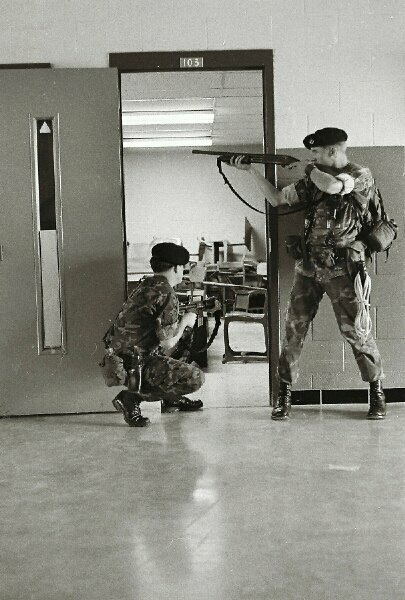 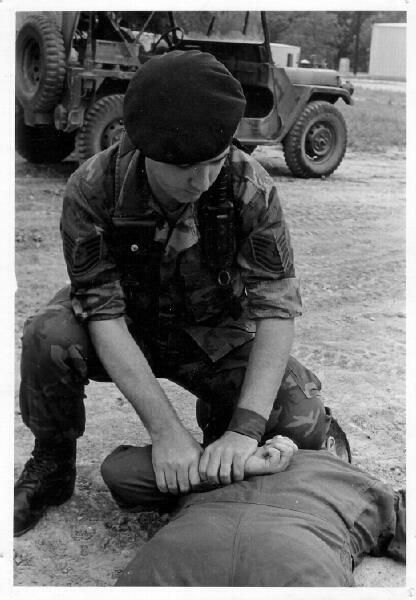 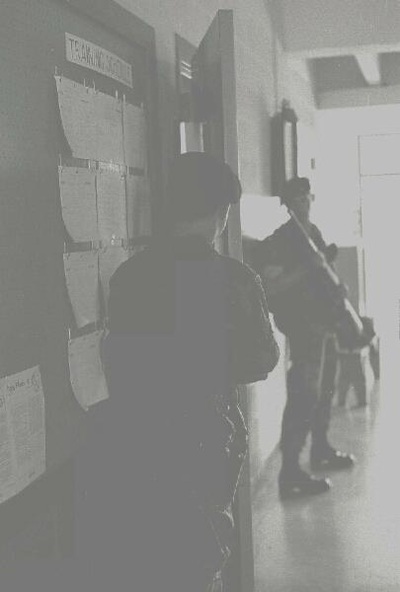 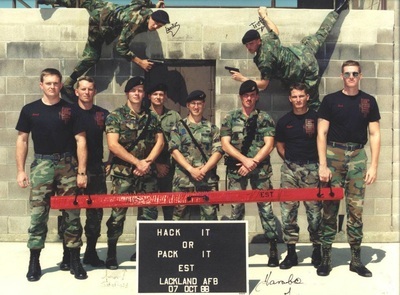 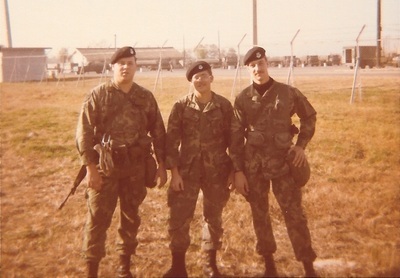 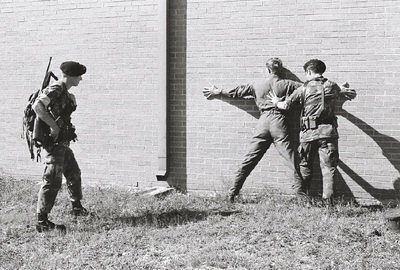 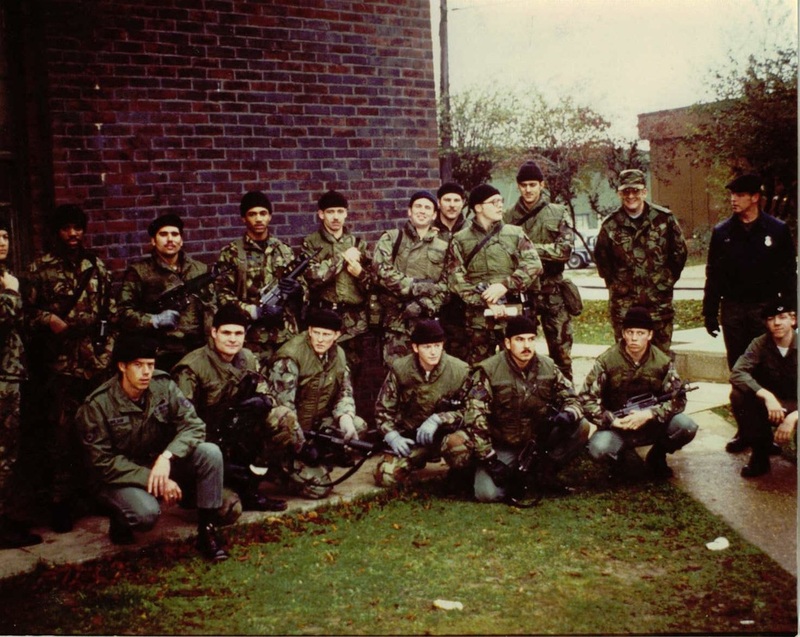 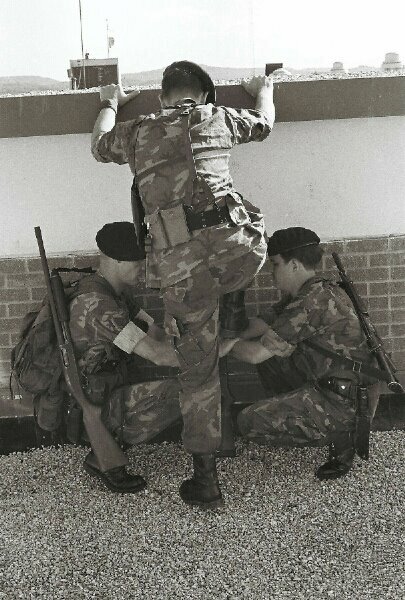 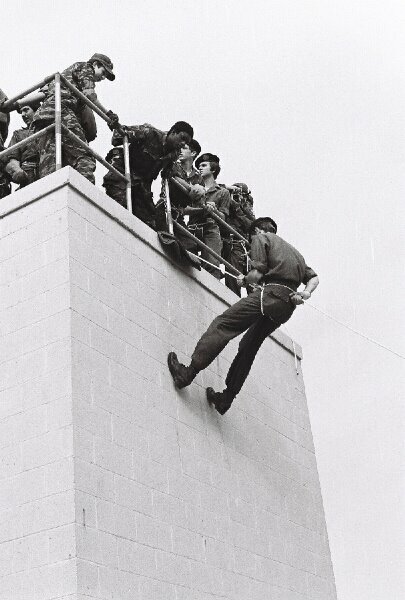 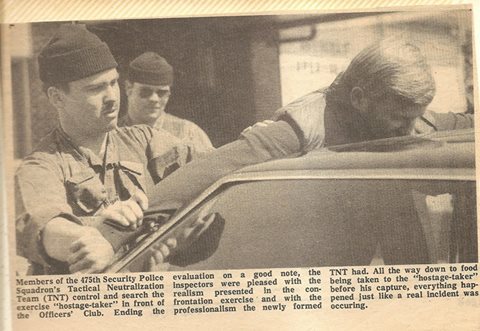 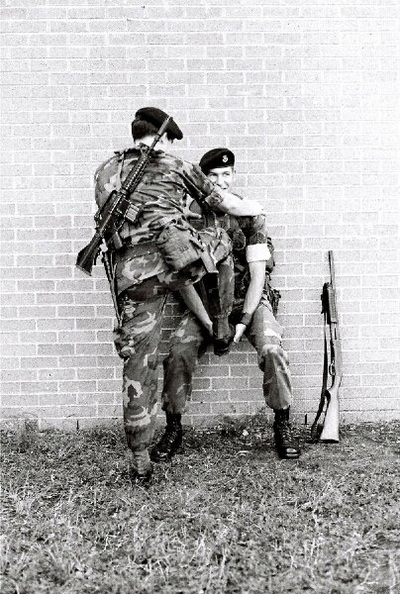 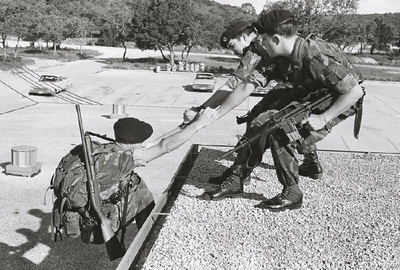 In May 1976, nine Security Police volunteers from Patrick AFB underwent one week of Special Weapons and Tactics Training with the Melbourne PD, Fl. The training was in preparation for a special assignment, protect the public and government property during the Bicentennial celebration for science and technology at Cape Canaveral, Fl. 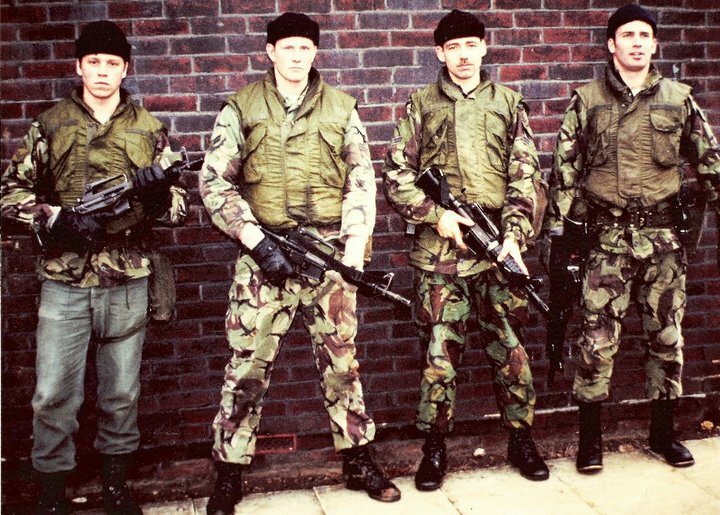 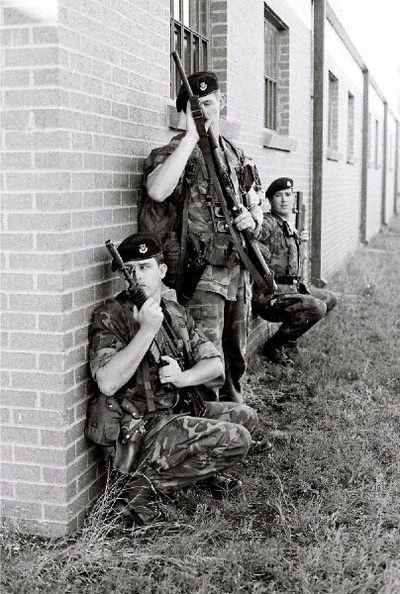 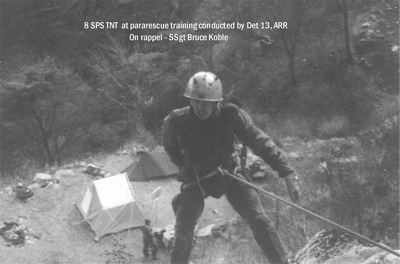 For 63 days, 13 hours a day 7 days a week the volunteers trained and stood ready as a quick response team. 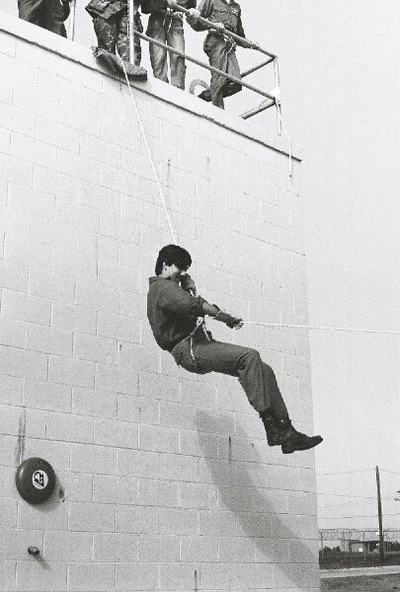 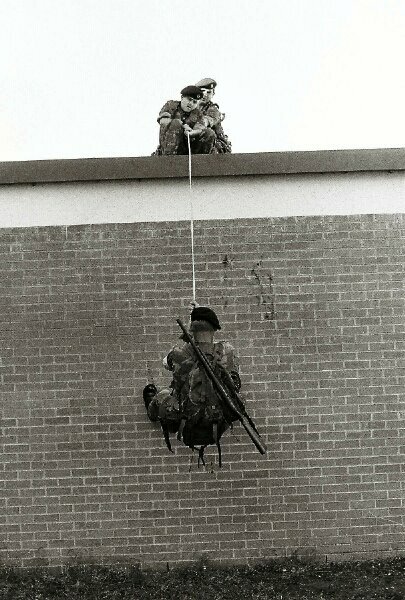 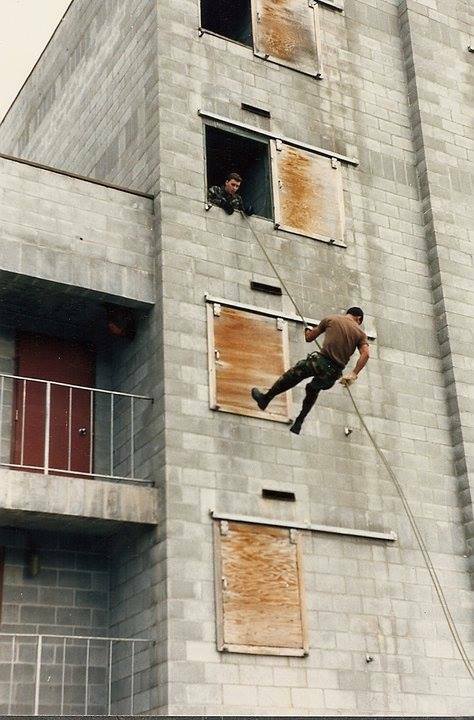 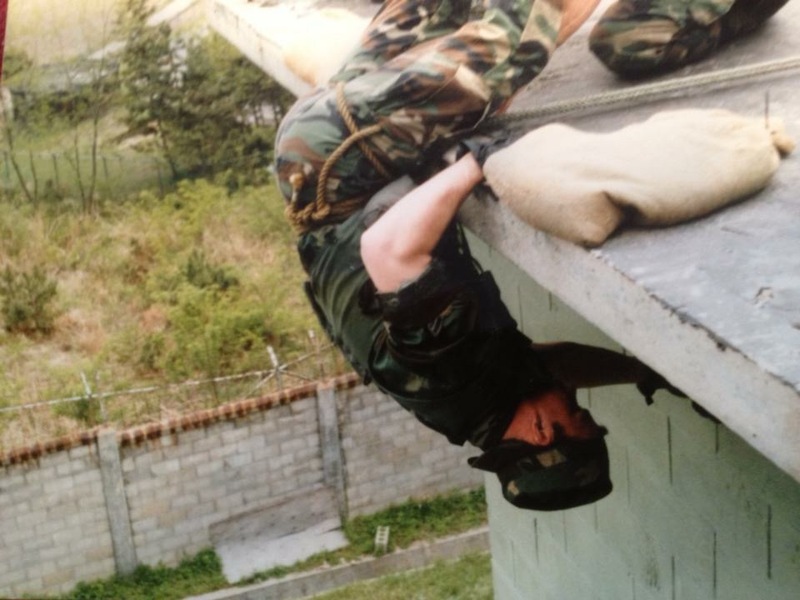 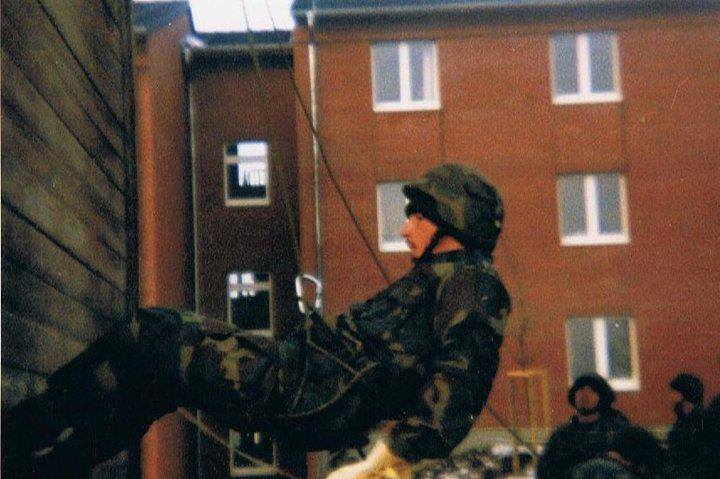 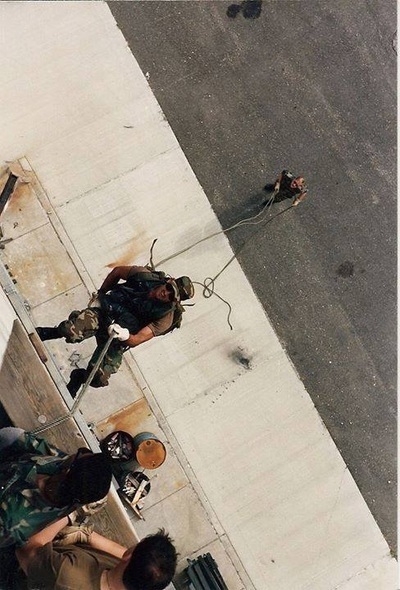 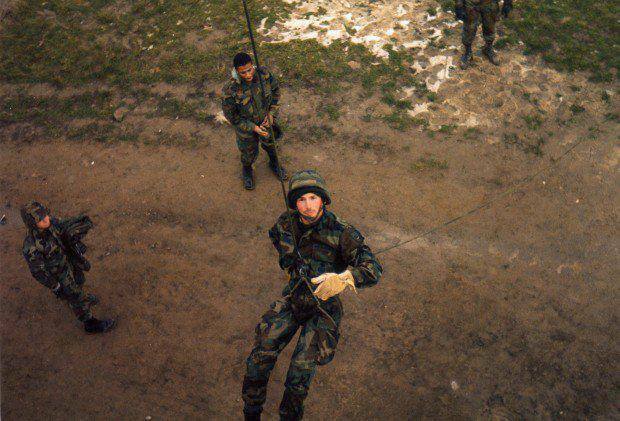 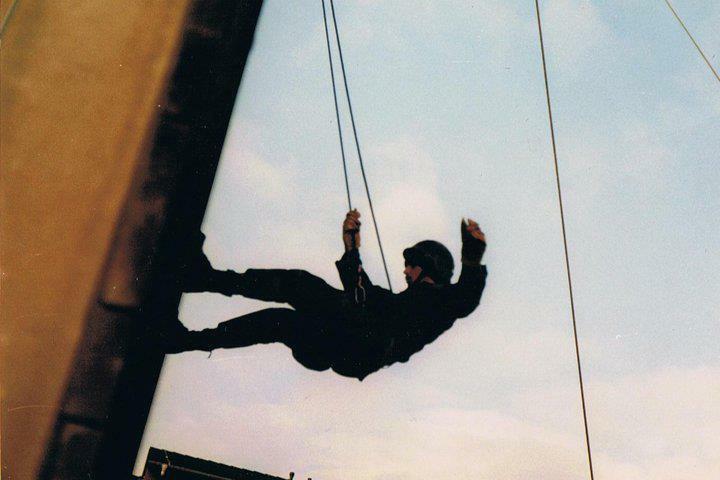 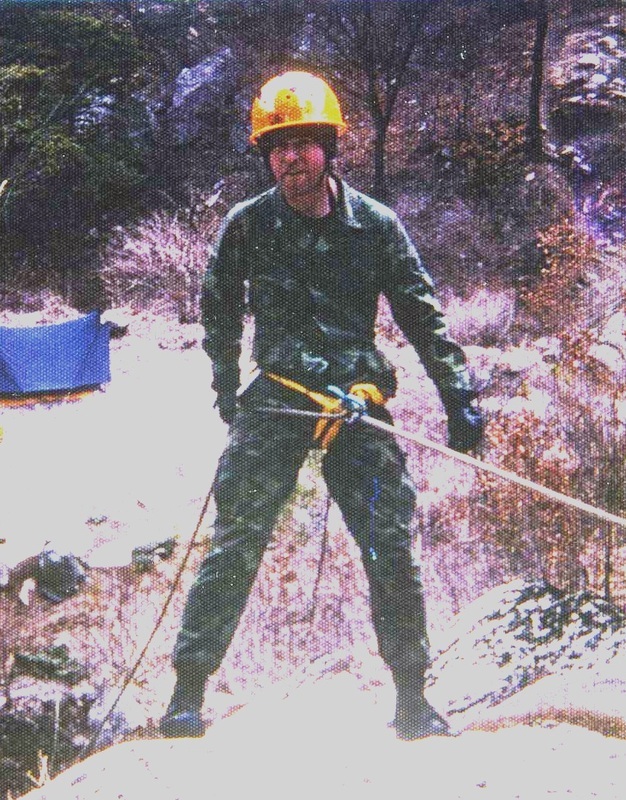 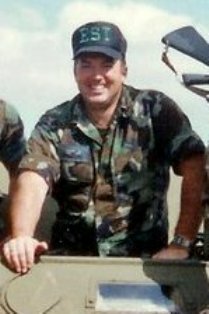 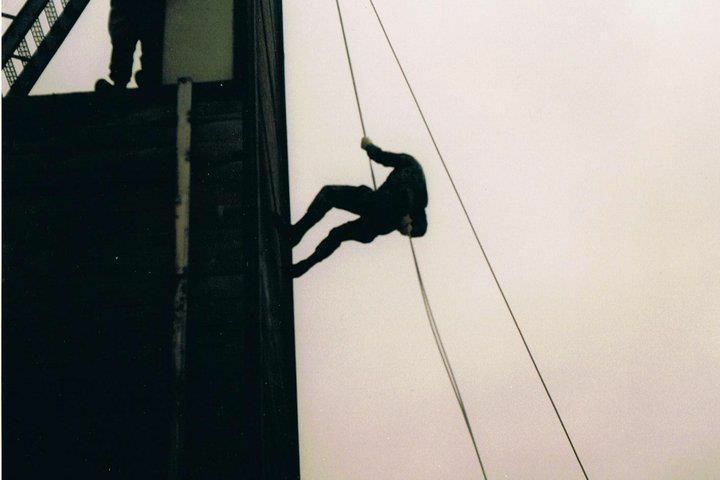 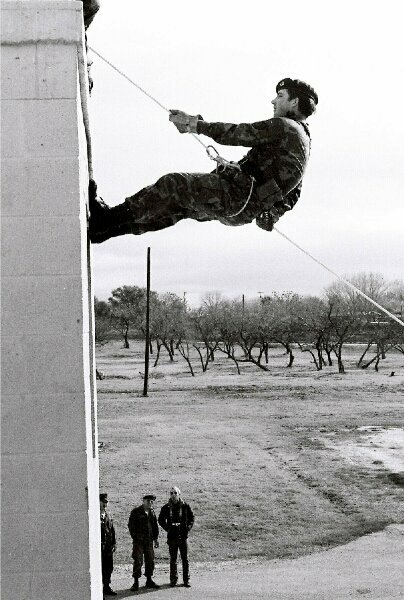 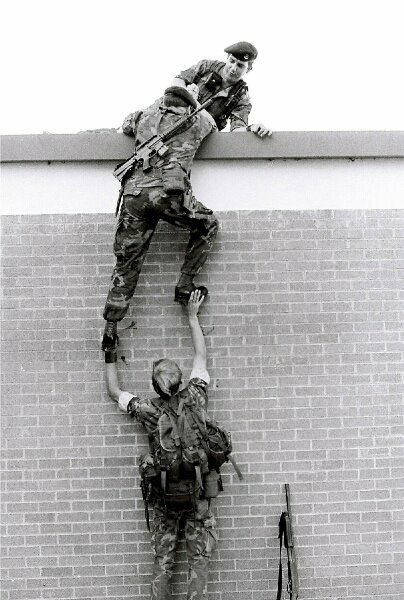 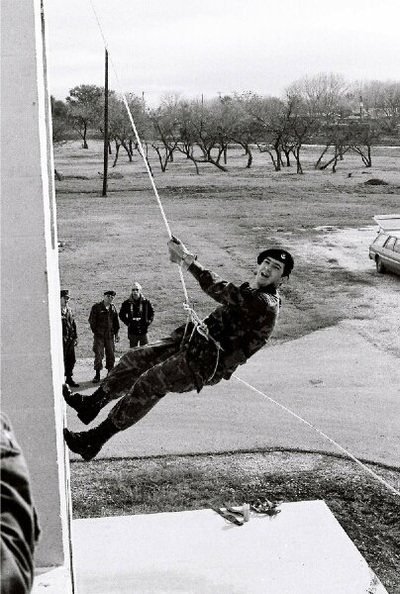 were informed by Dave Kriskovich (FBI instructor on rappelling, flown in from Washington DC especially for this course) that to his knowledge the two Security Police females were the first to rappel from a helicopter. 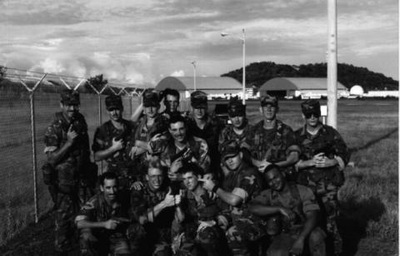 surrounding Patrick AFB, either civilian or military. 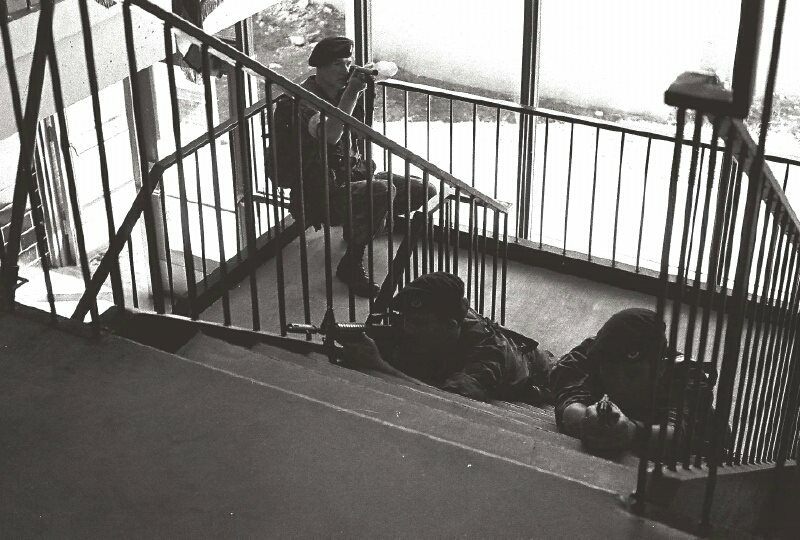 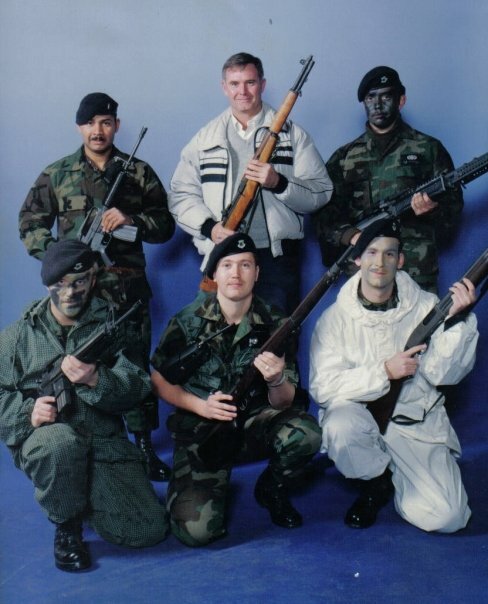 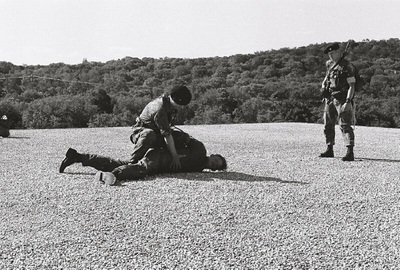 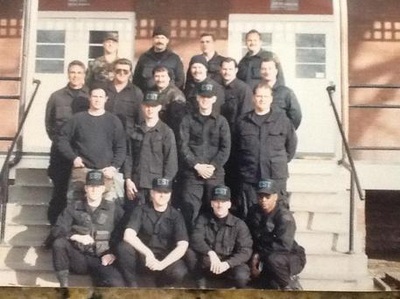 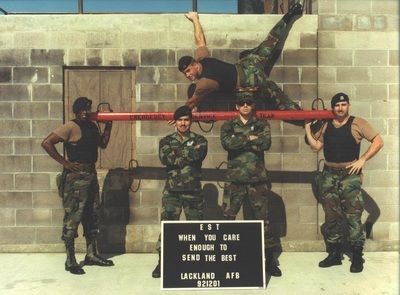 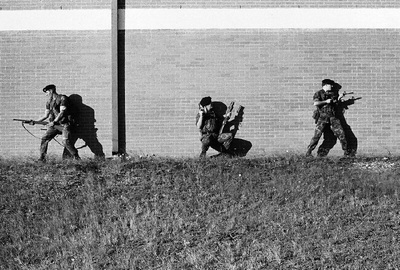 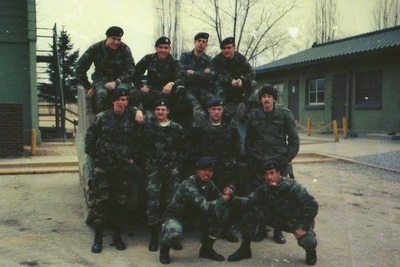 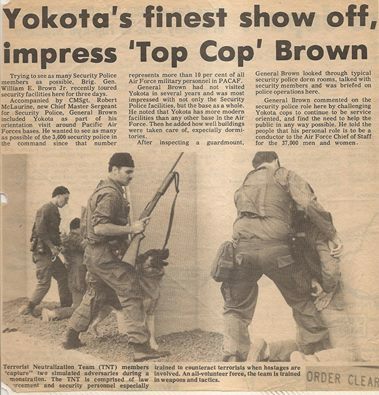 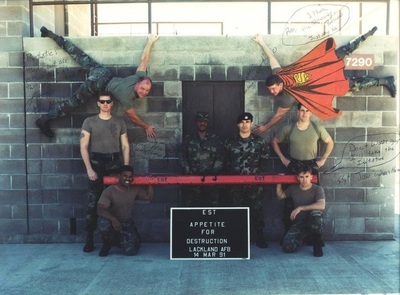 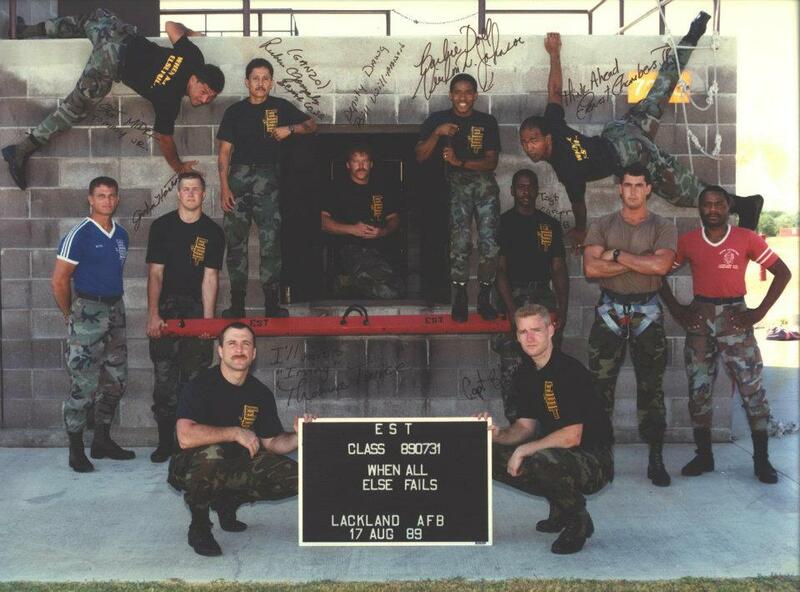 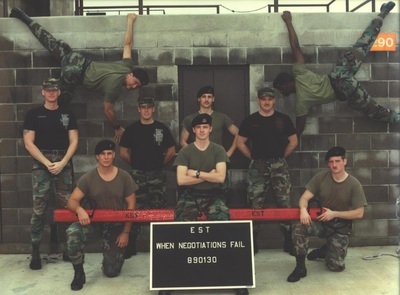 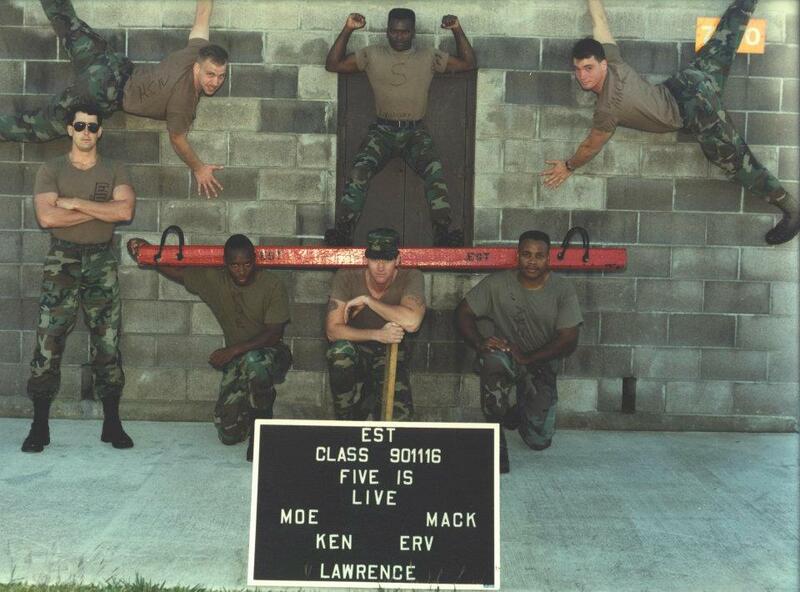 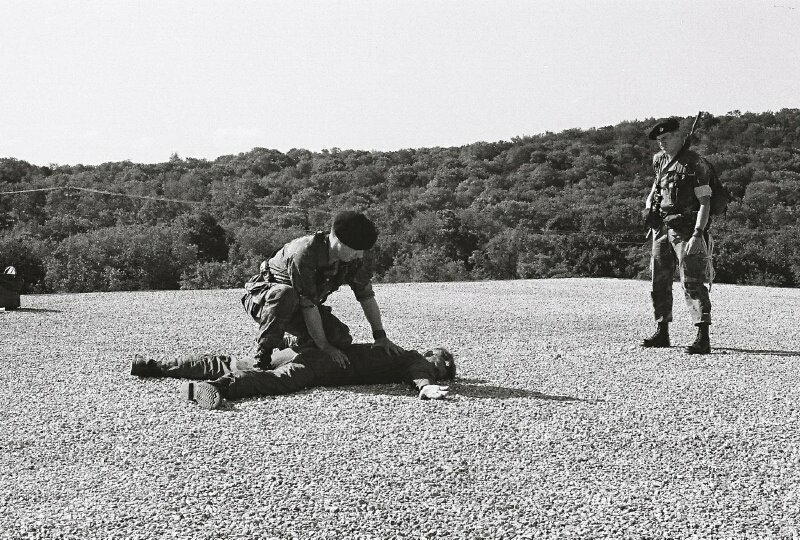 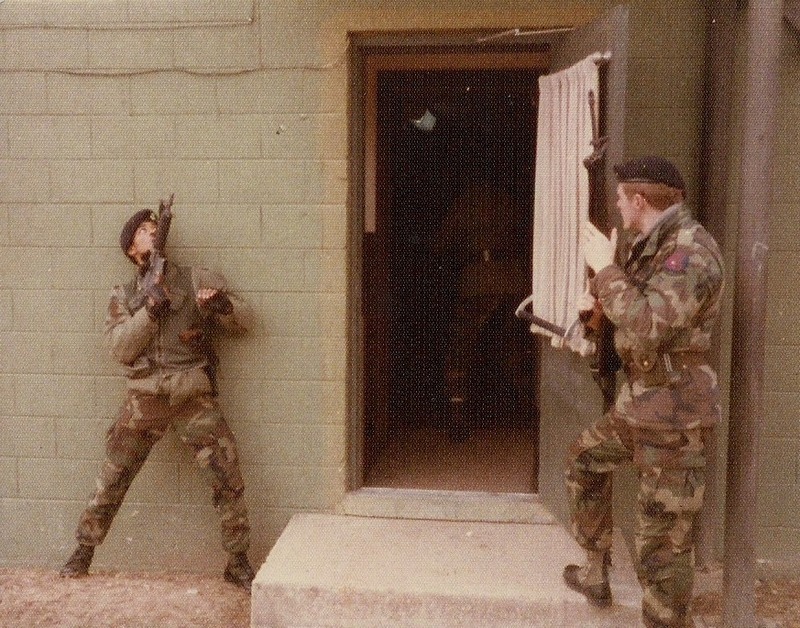 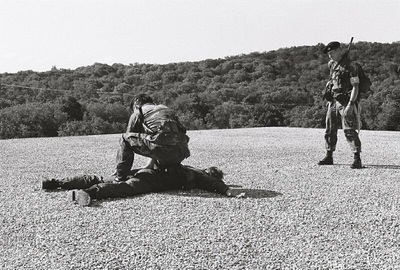 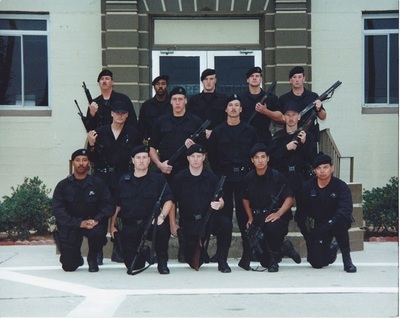 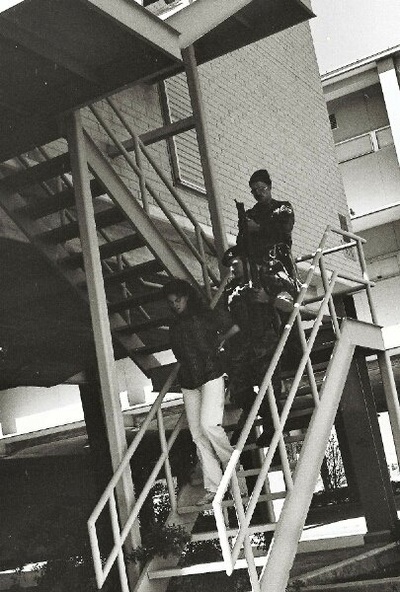 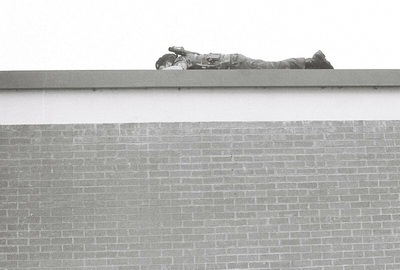 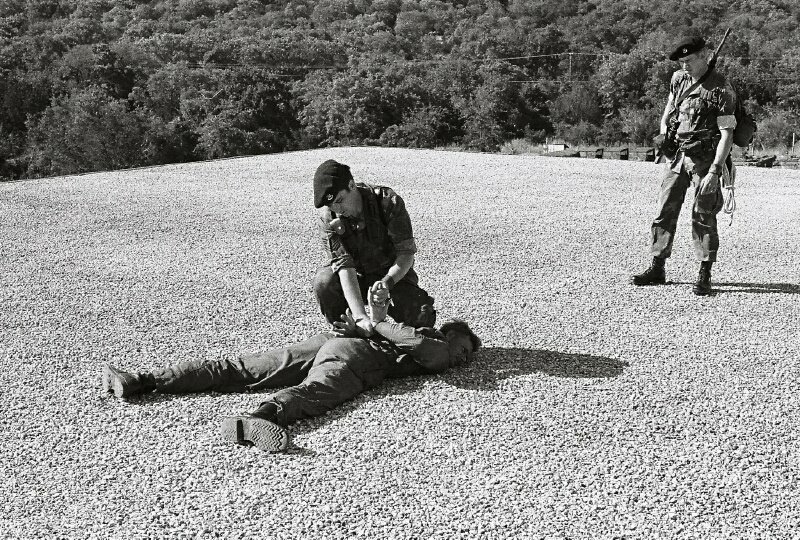 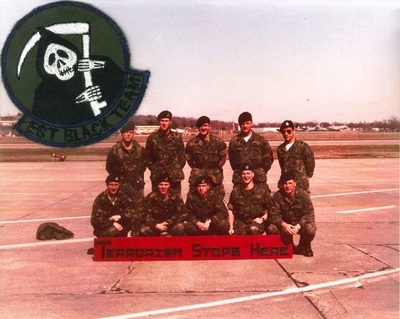 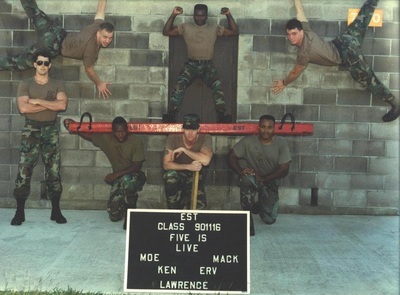 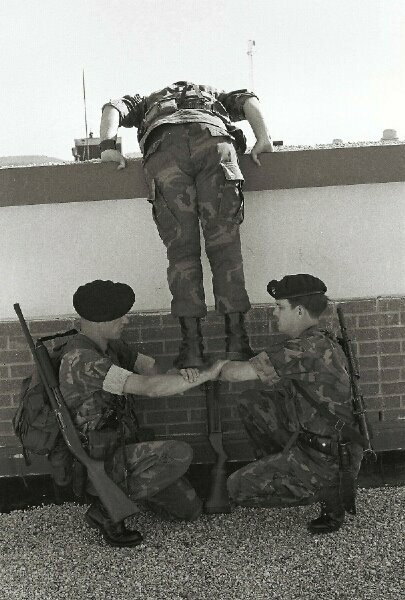 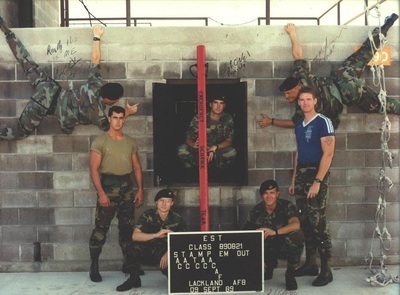 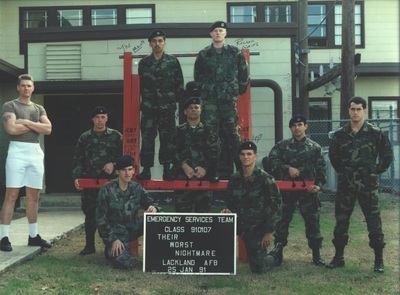 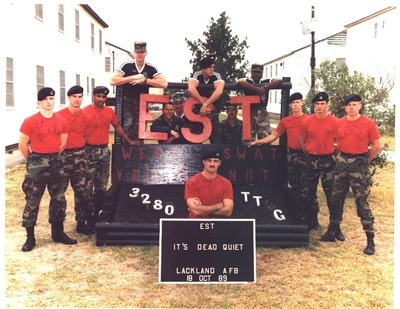 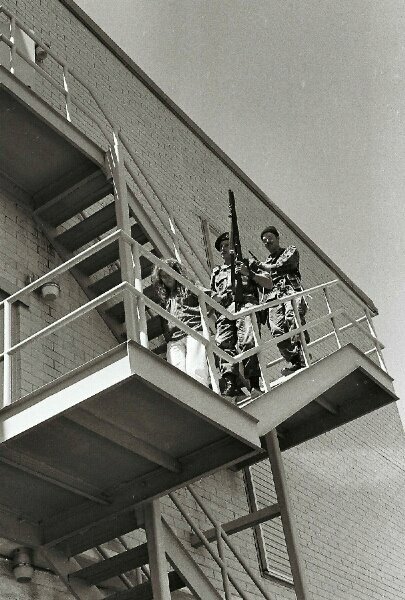 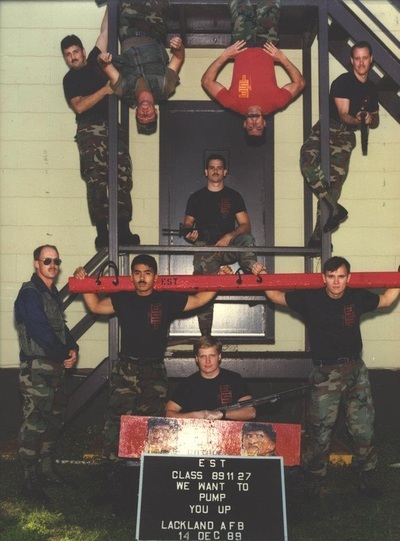 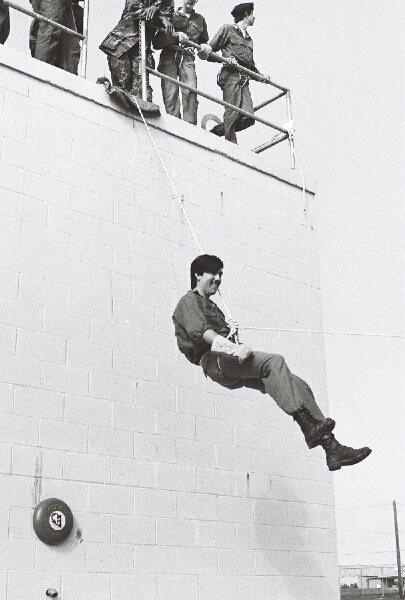 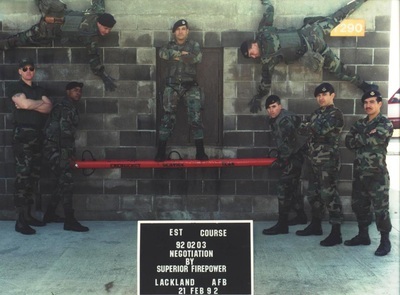 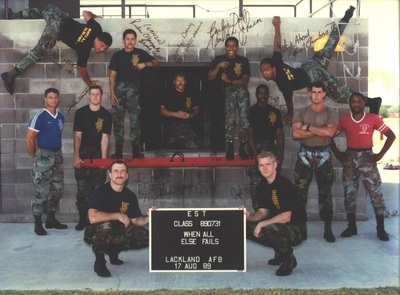 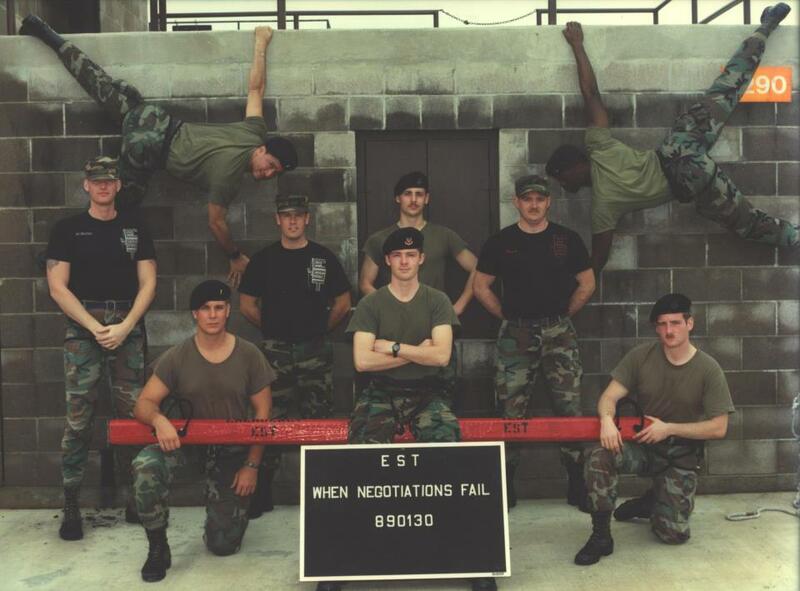 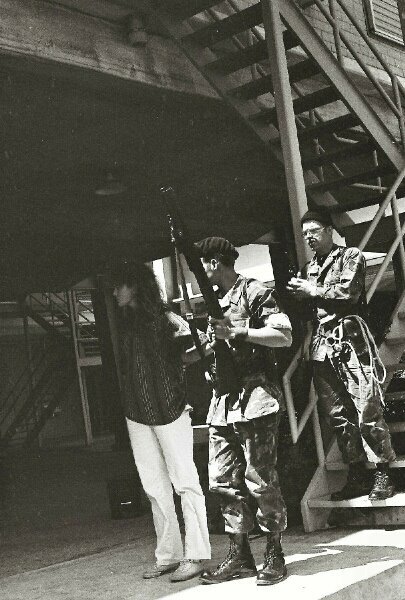 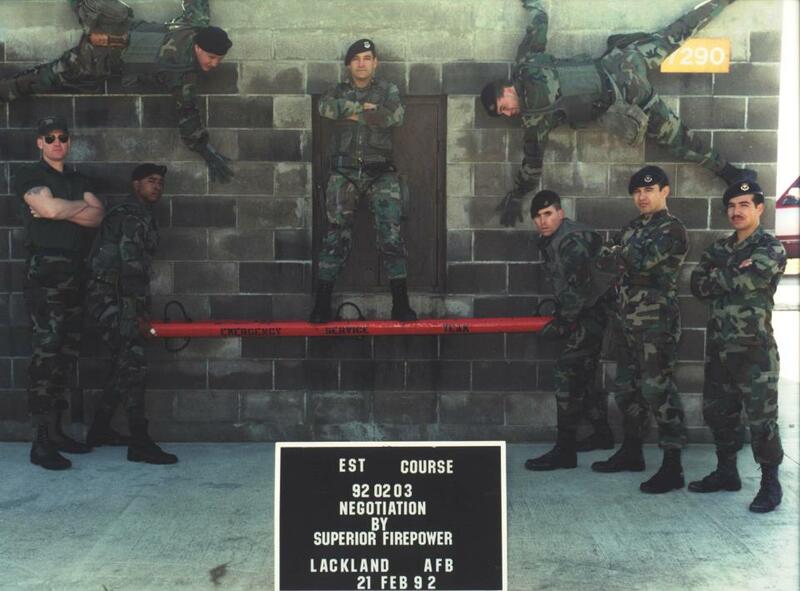 The team performed in a number of demonstrations including the AFSC Security Police Conference, assisted in training the Pan Am Security Guards, acted as advisor to local police, FBI teams and prison guard riot control teams. 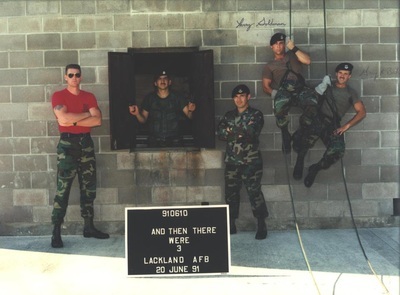 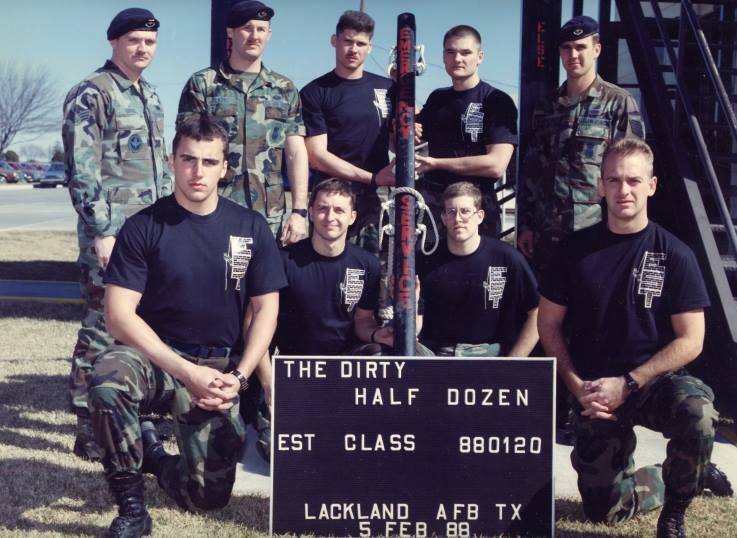 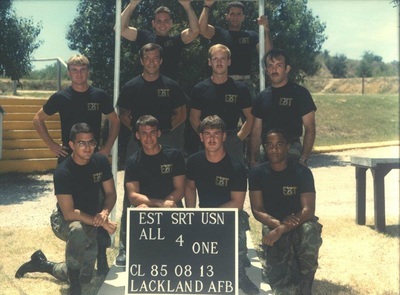 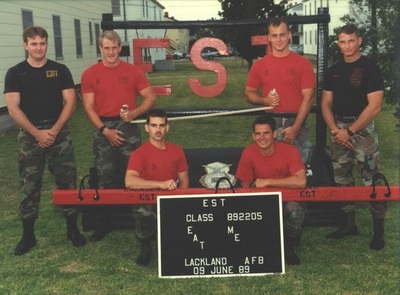 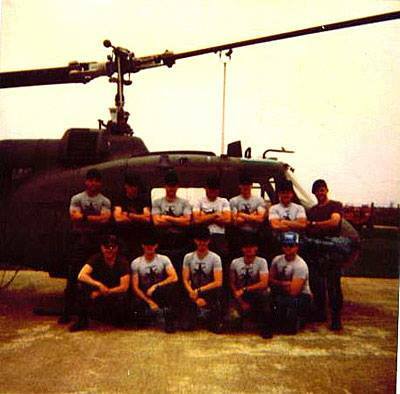 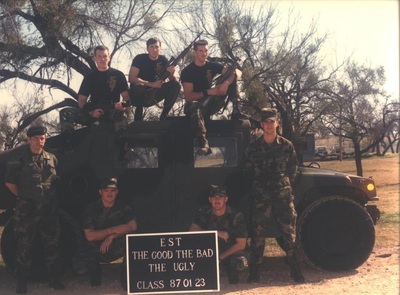 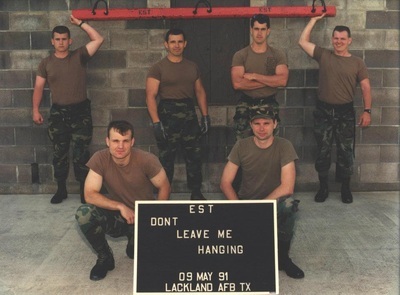 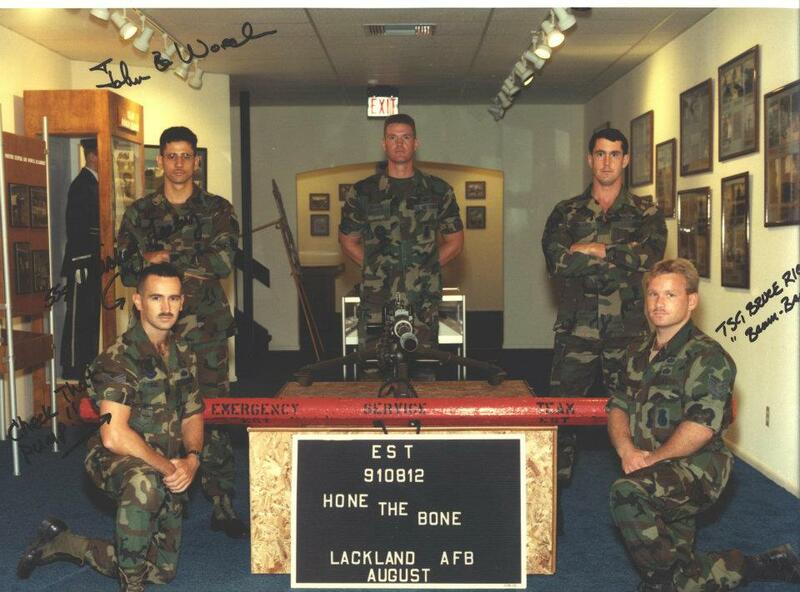 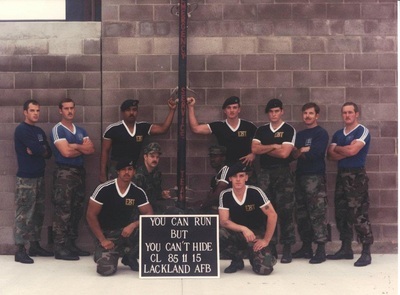 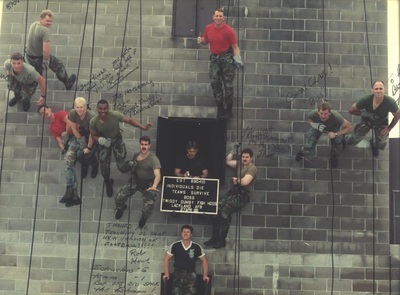 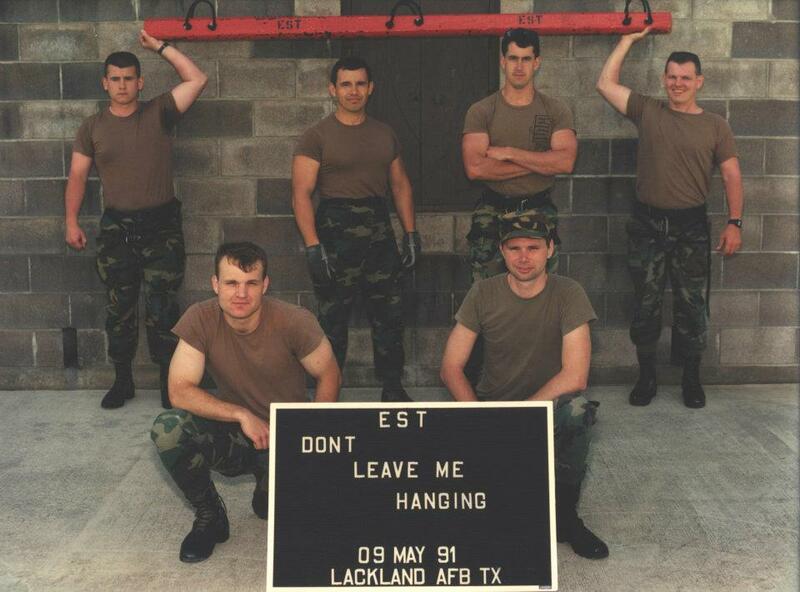 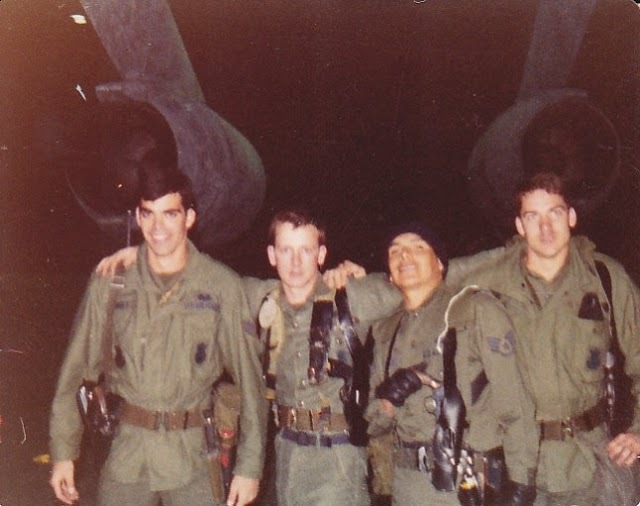 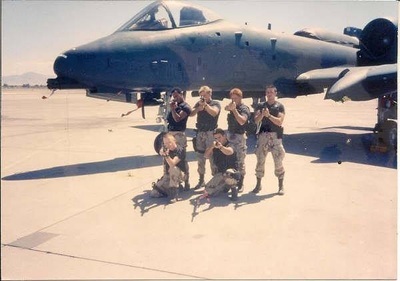 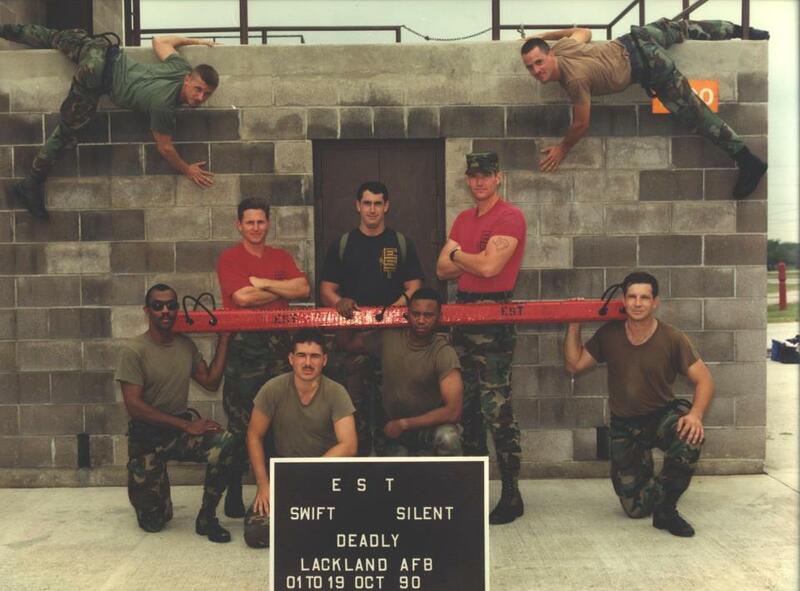 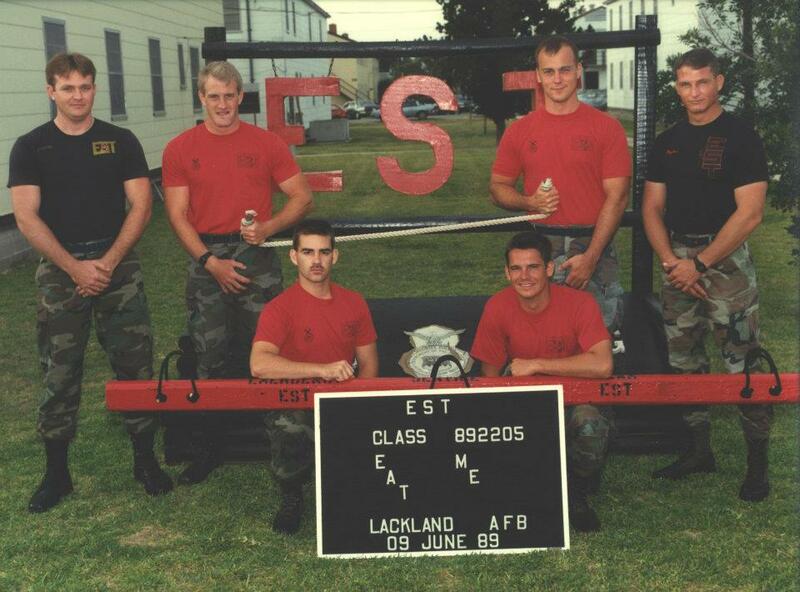 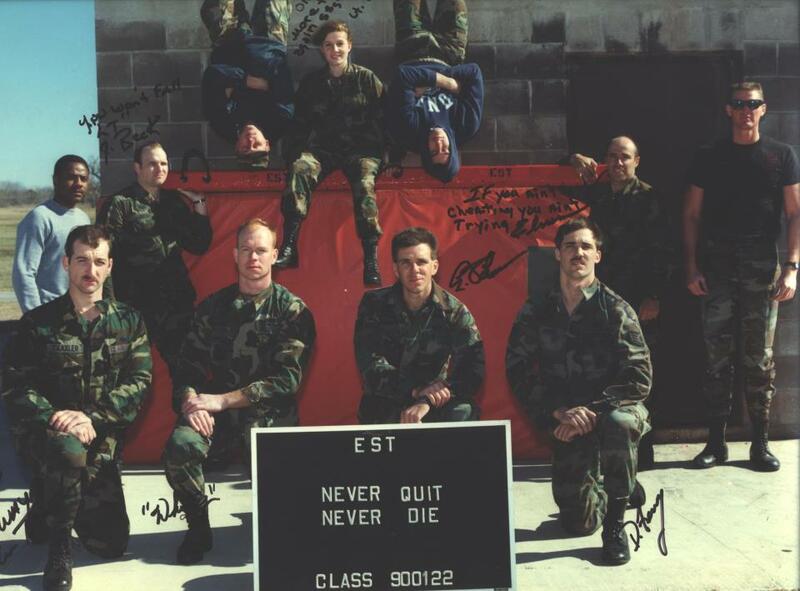 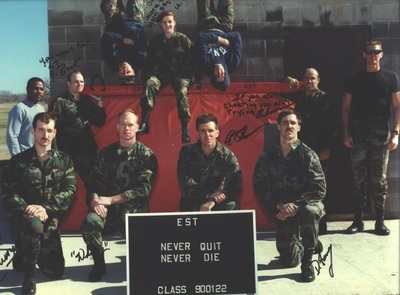 The team received publicity from the AIRMAN Magazine and the Air Force Now Film. 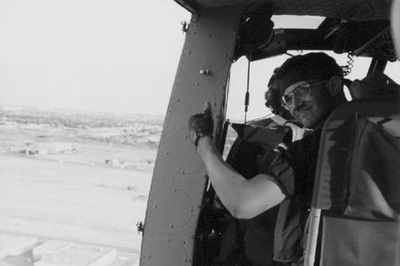 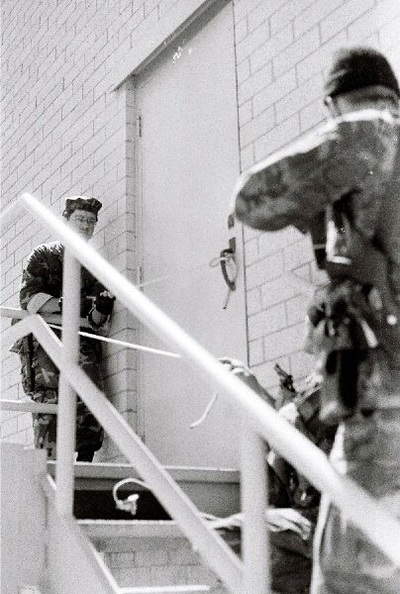 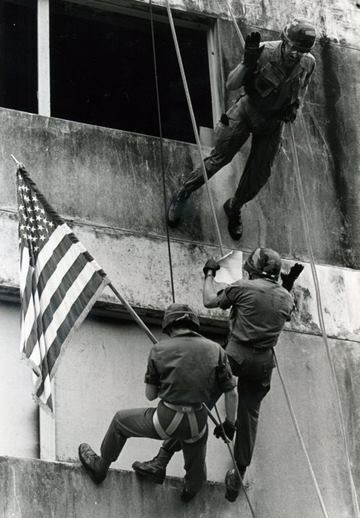 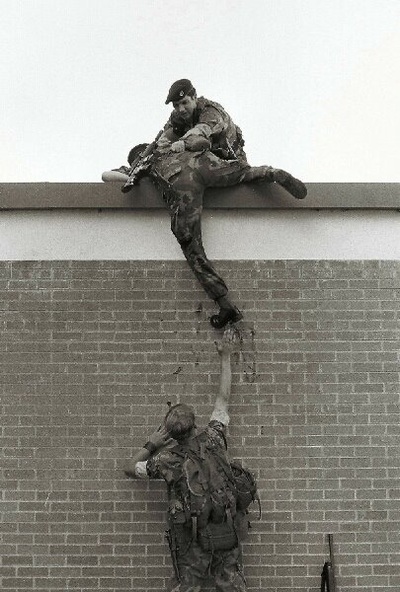 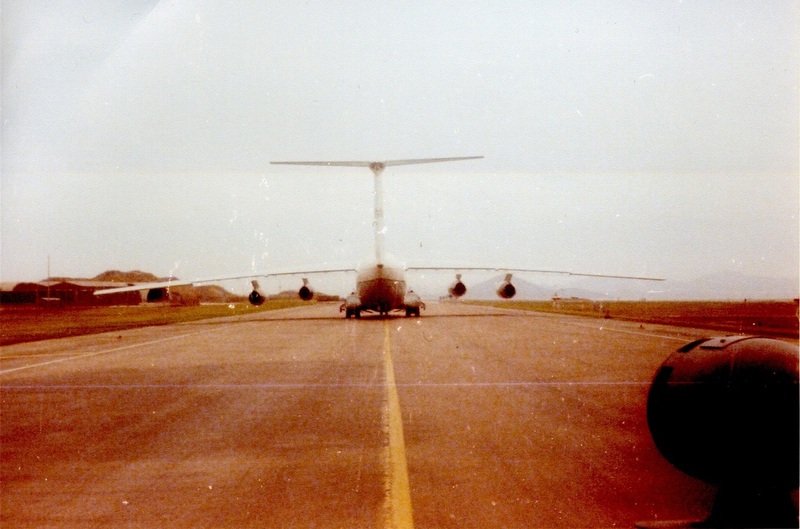 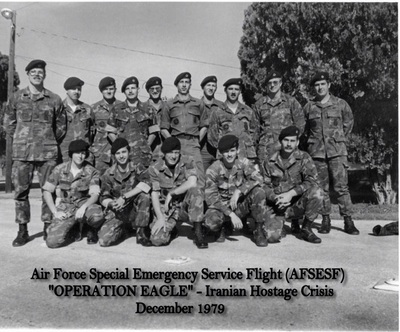 Air Force Special Emergency Service Flight (AFSESF) "Operation Eagle"
During 1979 - 1980, Americans were held hostage in the United States Embassy, Tehran, Iran. 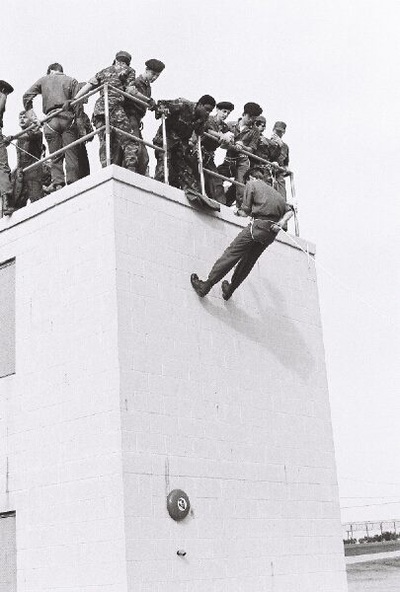 The Shah of Iran was deposed and President James Carter granted him temporary asylum in the United States. 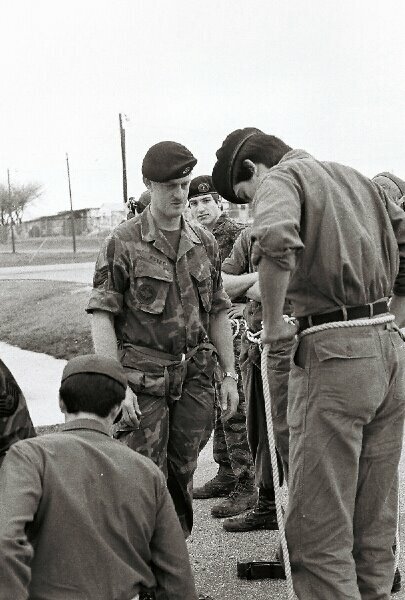 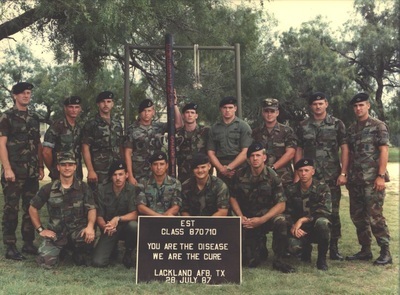 Since the shah's health was a major problem, the president decided to provide health care at the Wilford Hall USAF Medical Center, Lackland AFB, Texas. 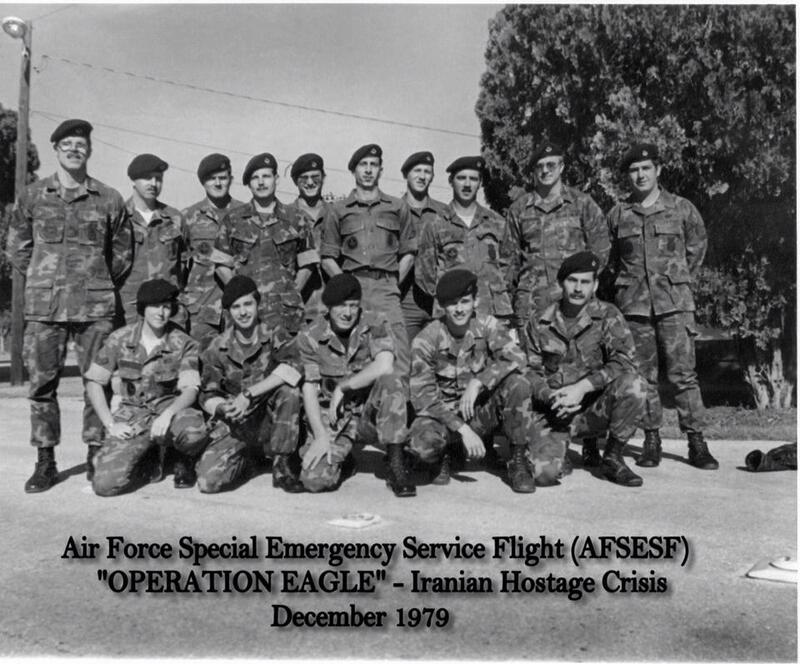 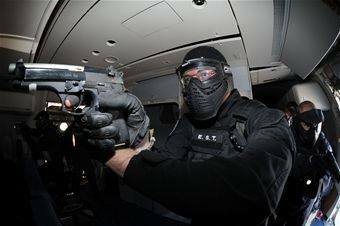 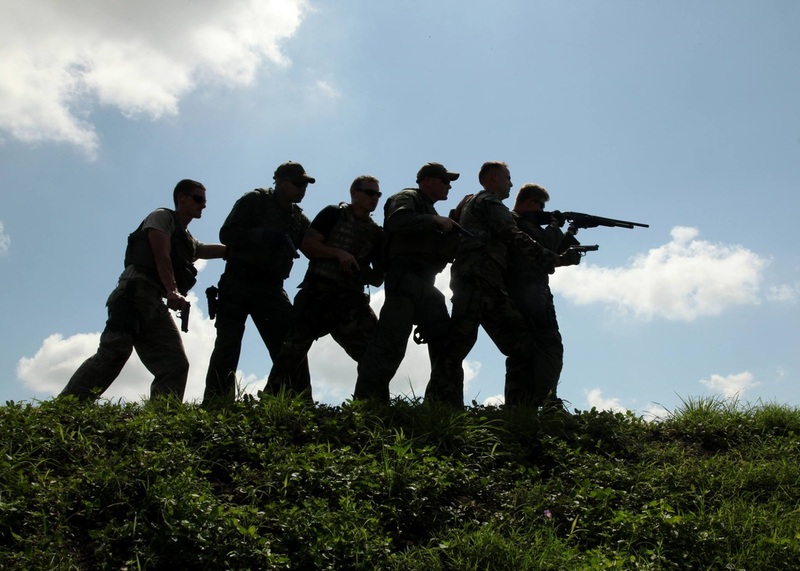 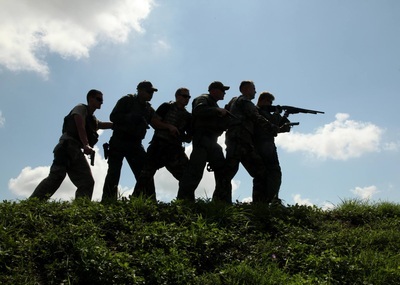 The Air Force Security Police had been forming, training and equipping a"flight size" special operations emergency service unit. 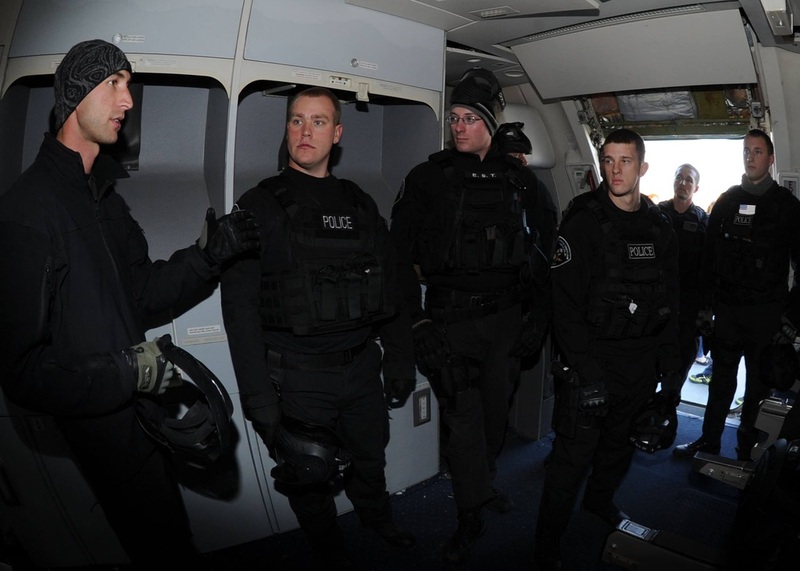 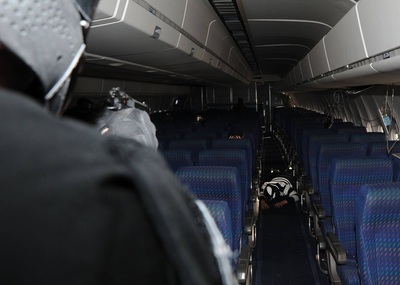 The flight was composed of hand picked Security Police academy instructors. 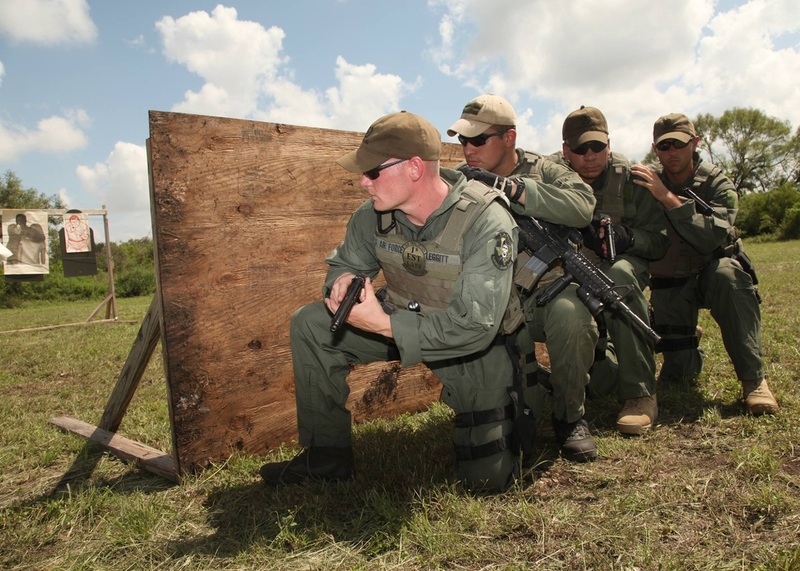 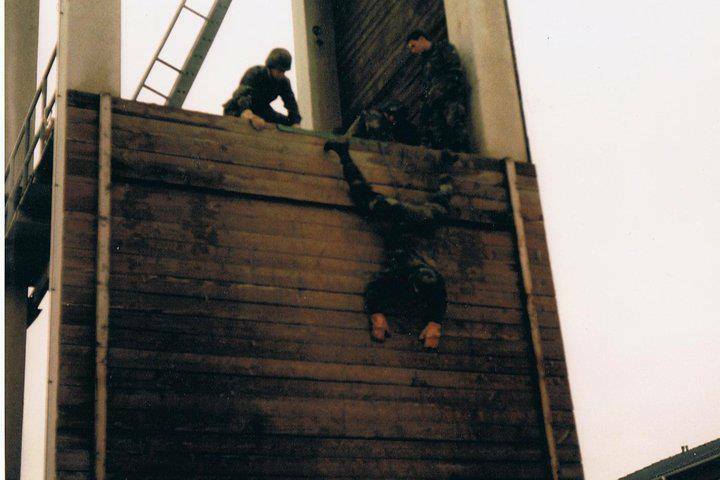 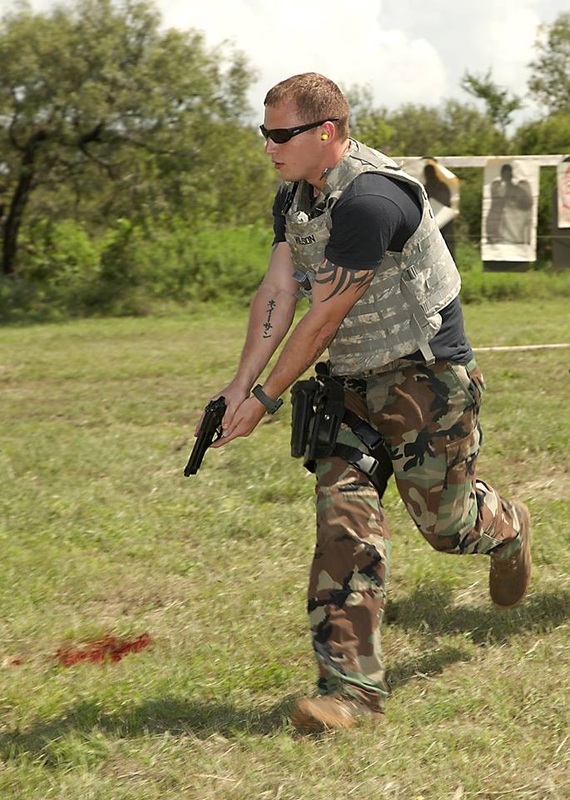 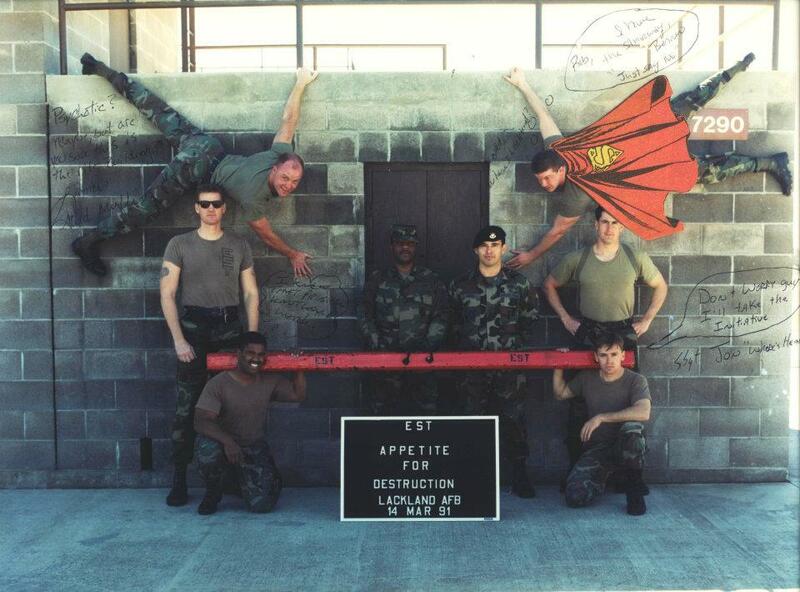 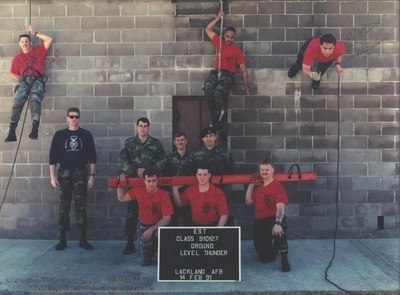 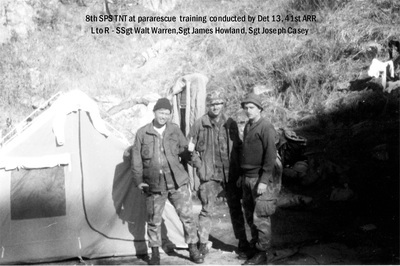 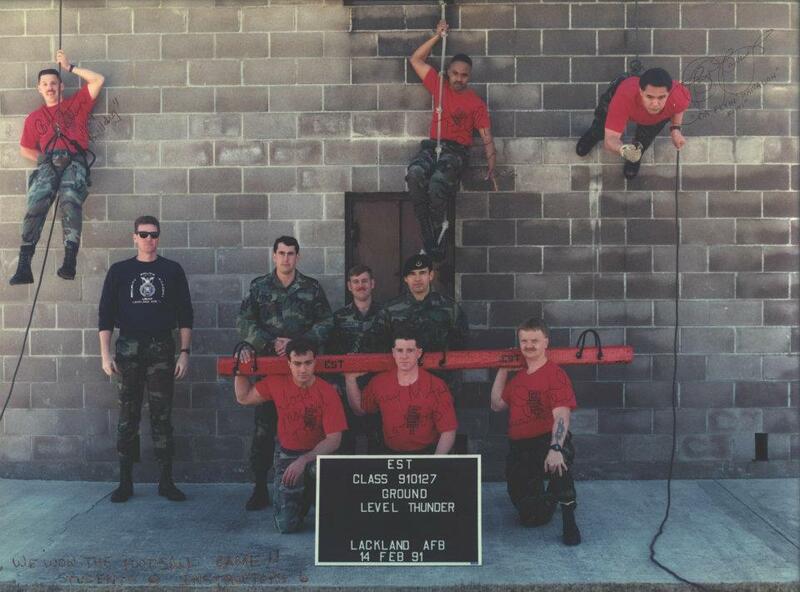 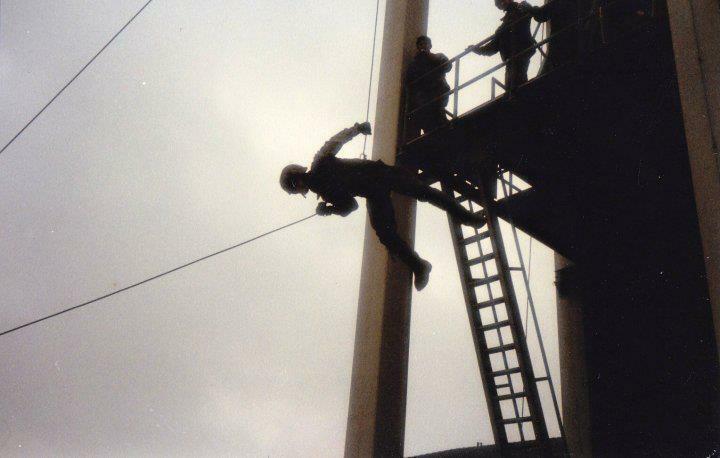 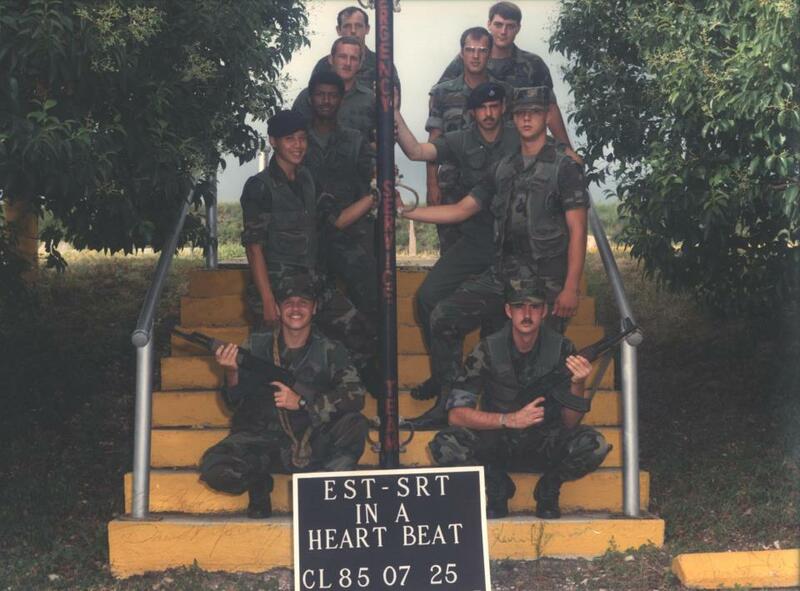 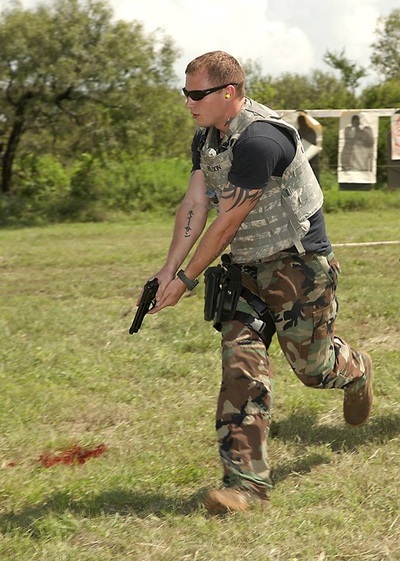 Flight members completed rigorous physical screening and attended numerous military, federal and civilian tactical and special operations courses. 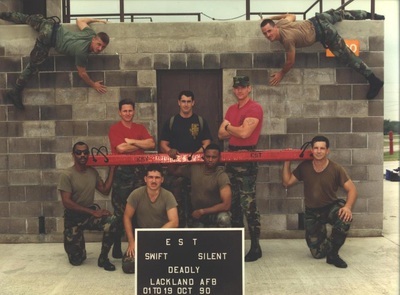 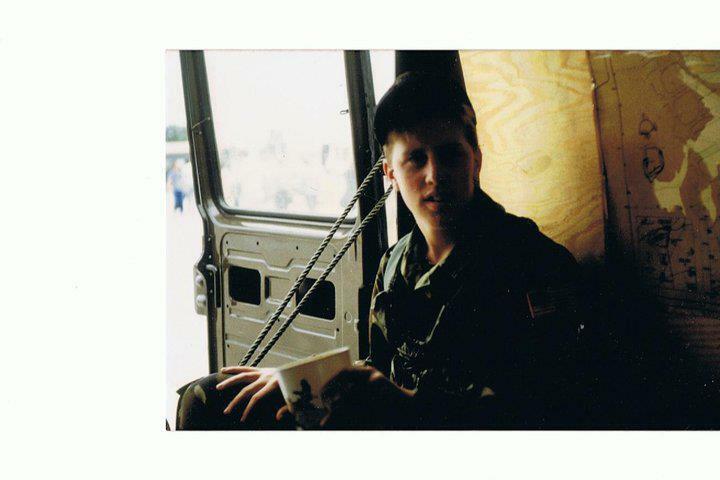 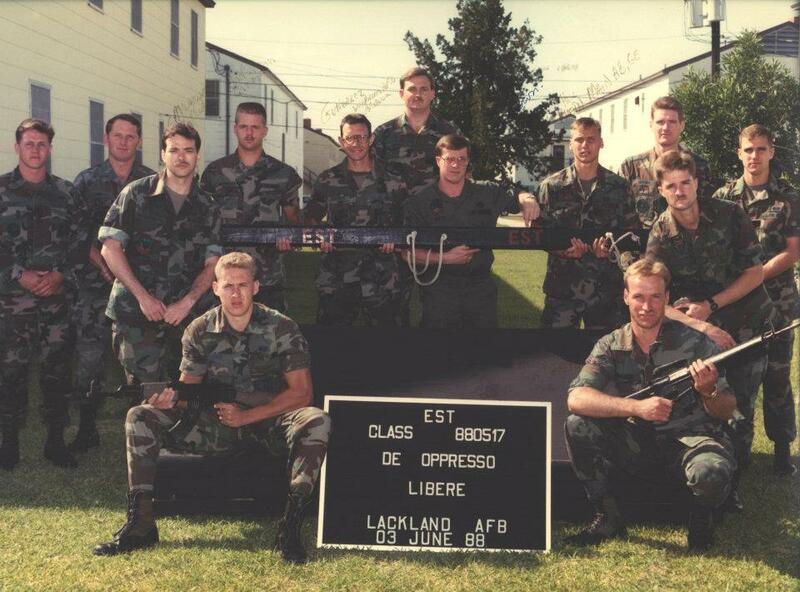 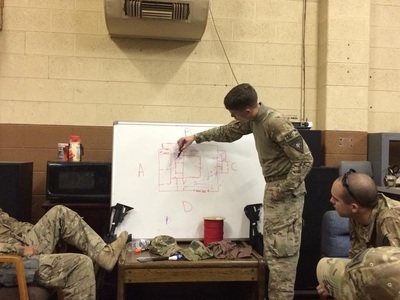 An AFOSI technical service team was later assigned to the flight. 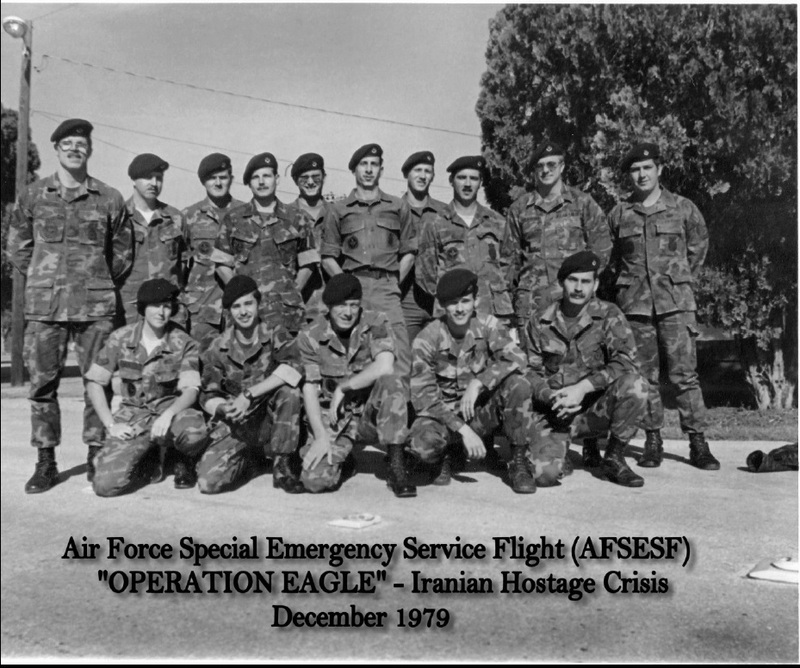 From 2 - 15 December 1979, the Air Force Special Emergency Service Flight (AFSESF), conducted a protective service operation (PSO) for the deposed Shah of Iran. 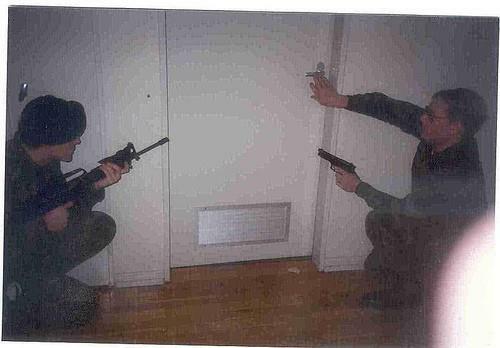 There were four attempts, by Iranian, "students", on his life. 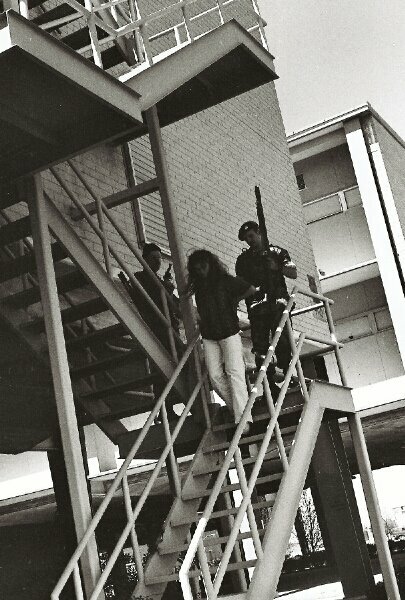 Overall, 34 apprehensions were made. Impressed with the AFSESF's tactical performance; the director of the united States Secret Service, FBI Director and AFOSI Commander, requested the Flight's young flight sergeant - TSgt Chalma l. Sexton, Jr., As tactical planner, armed special agent and overall security adviser, during the Shah's highly classified move to Contadora island, Panama. 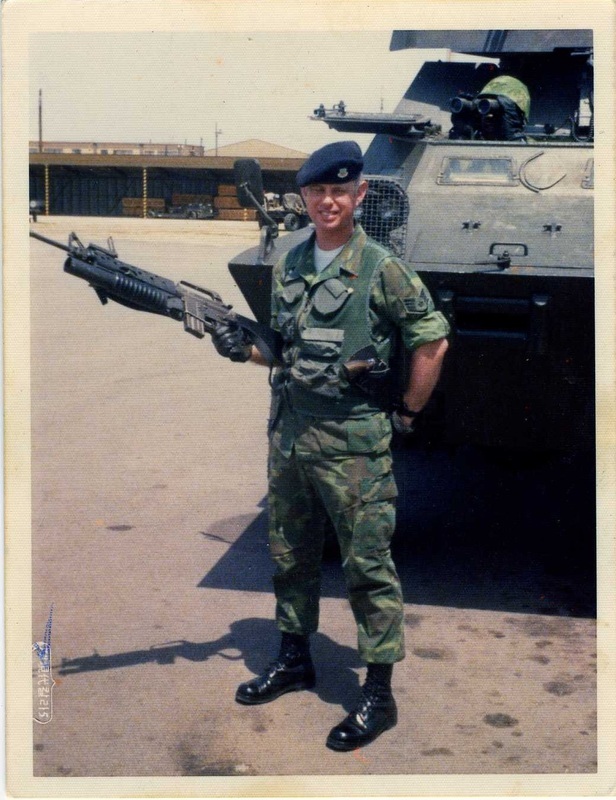 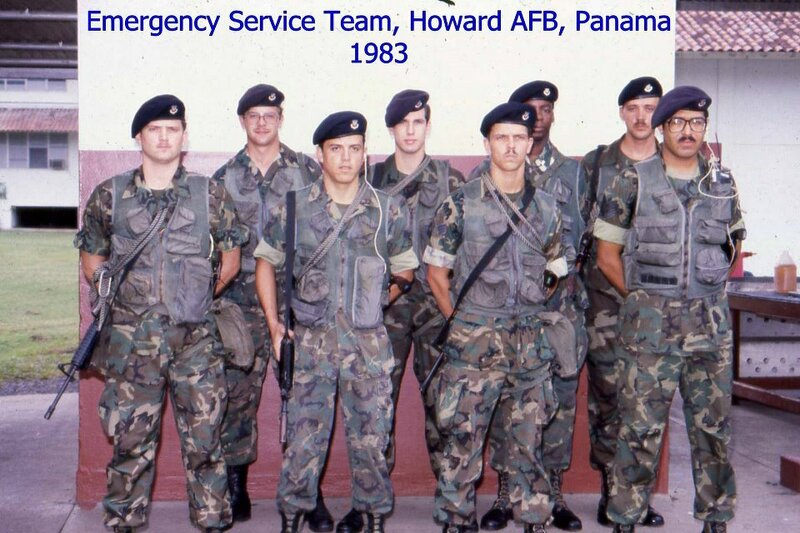 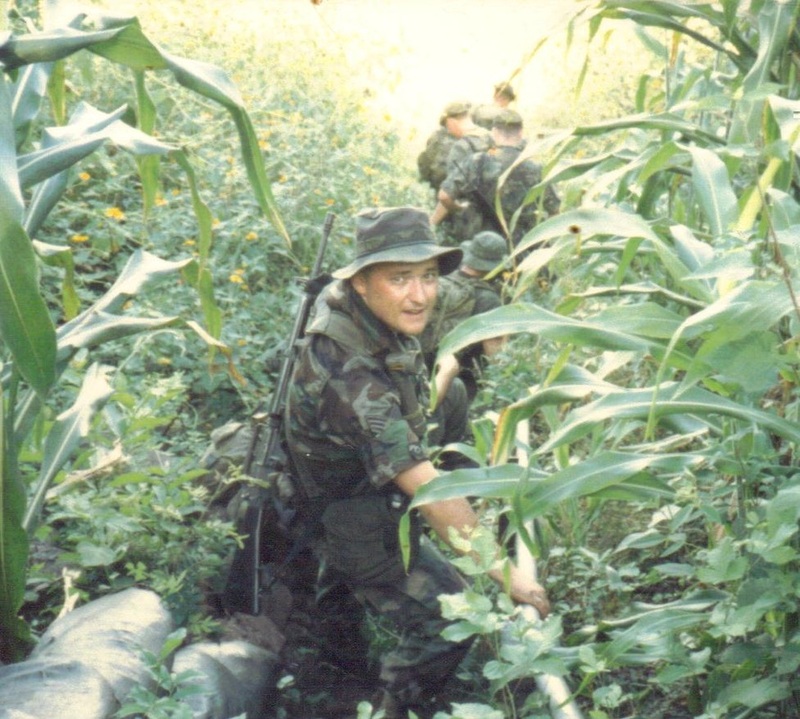 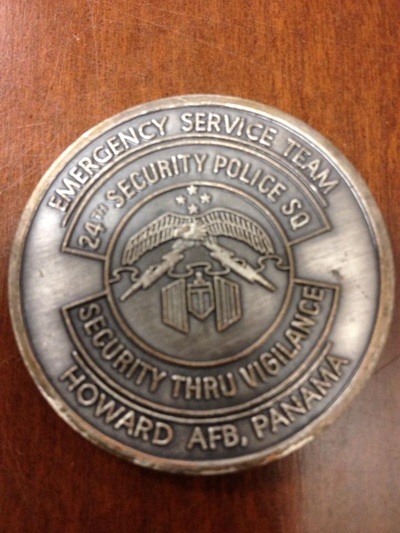 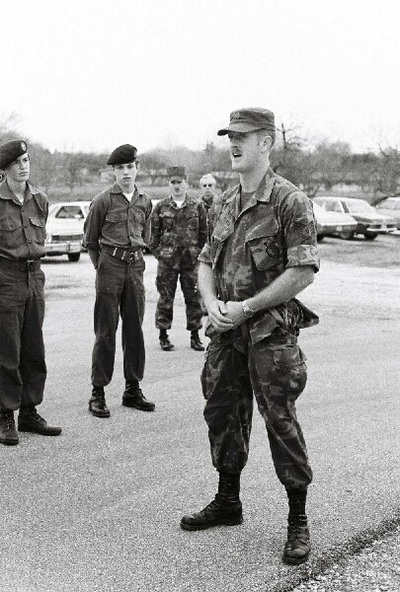 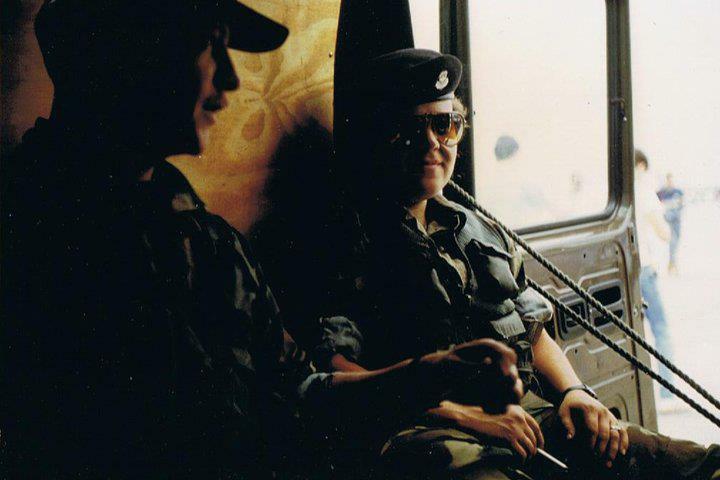 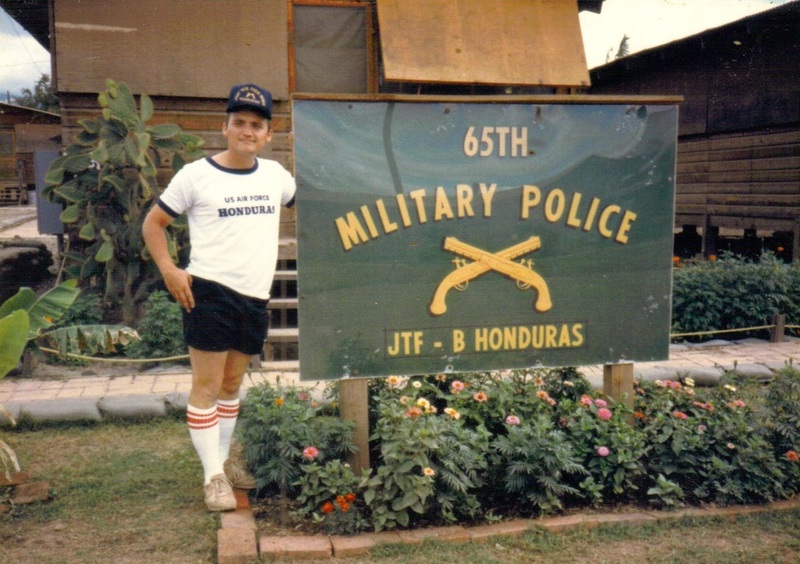 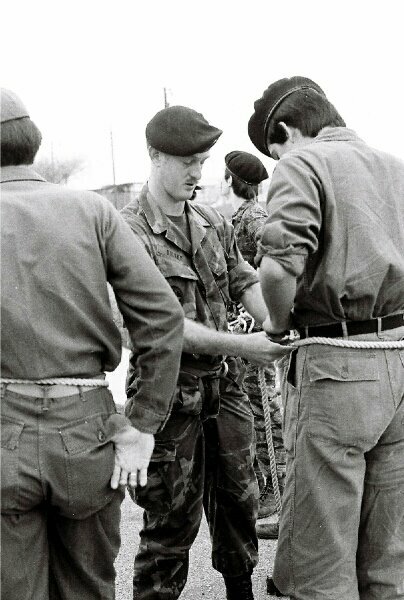 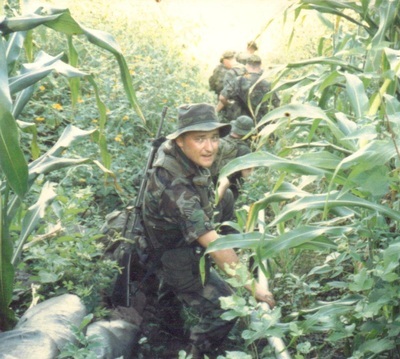 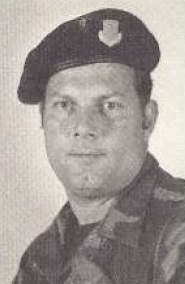 Sergeant Sexton assisted the Panamanians in establishing overall security and protective operations.